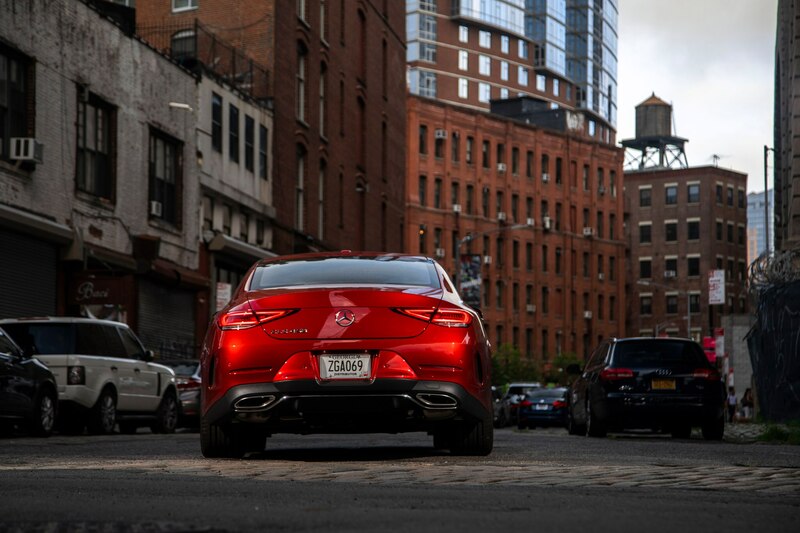 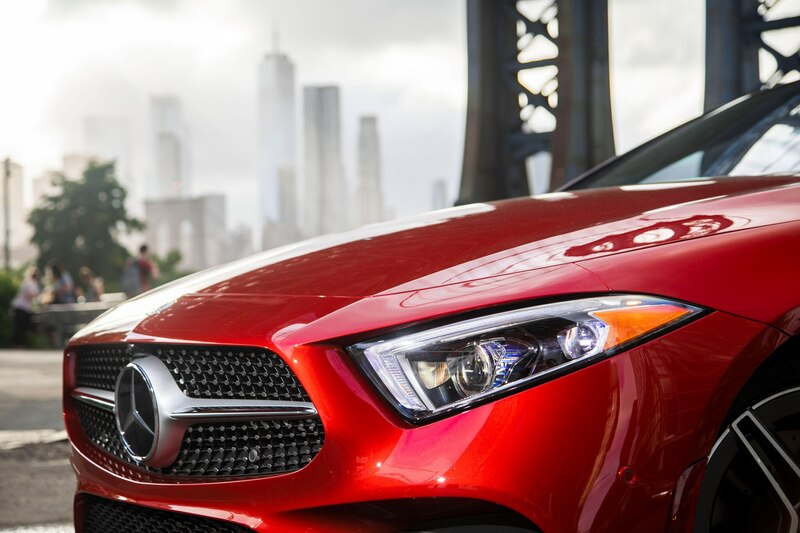 BROOKLYN, New York – Creating an automotive design icon is a tricky thing. 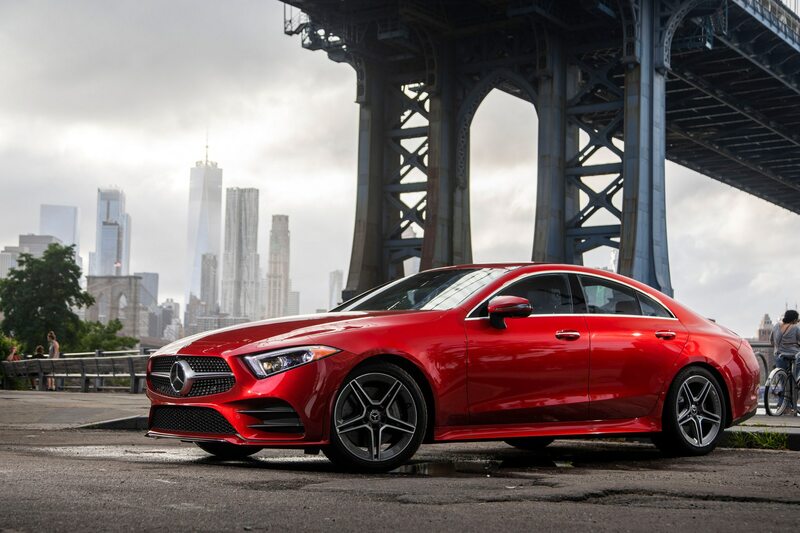 Problem is, once a car is tagged as one, everyone expects you to top it with succeeding models—to wow them again and again. 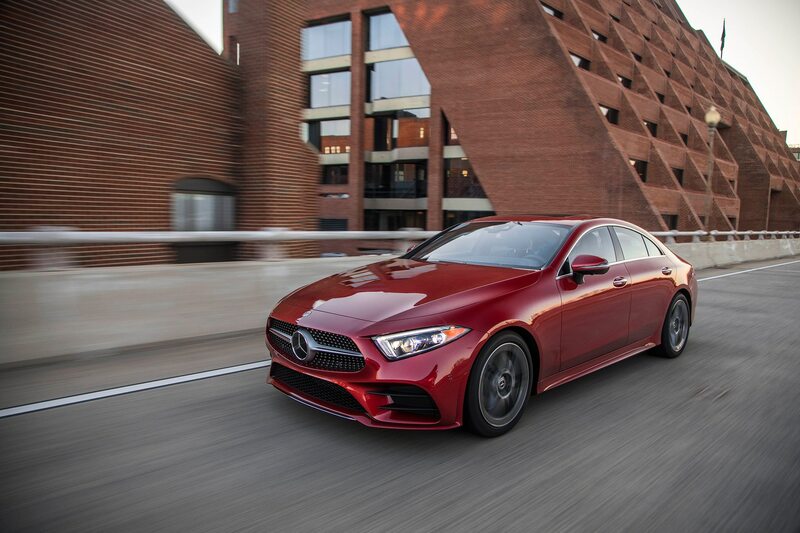 Mercedes stylists have been caught in that in that loop with the CLS-Class. 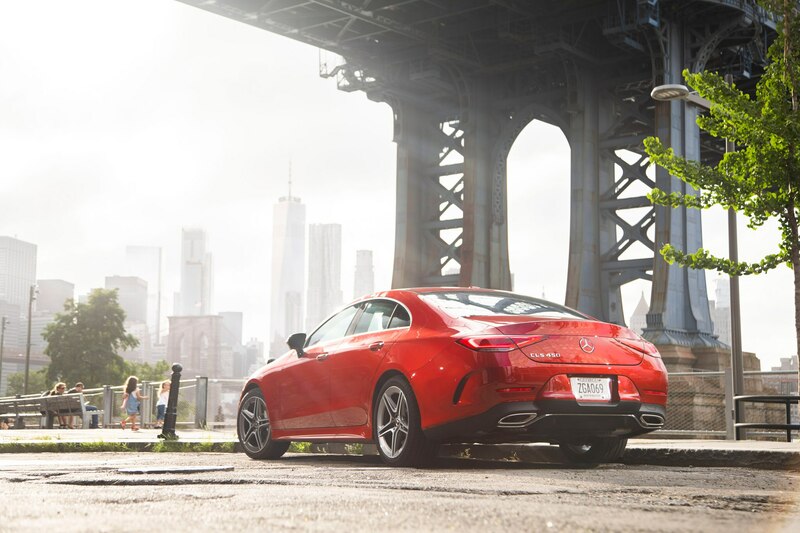 When it arrived in 2004, the first-generation CLS ushered in an entire genre of modern era style known as the four-door coupe, punctuated by a raked greenhouse, blacked out B-pillars, and typically, four frameless doors. 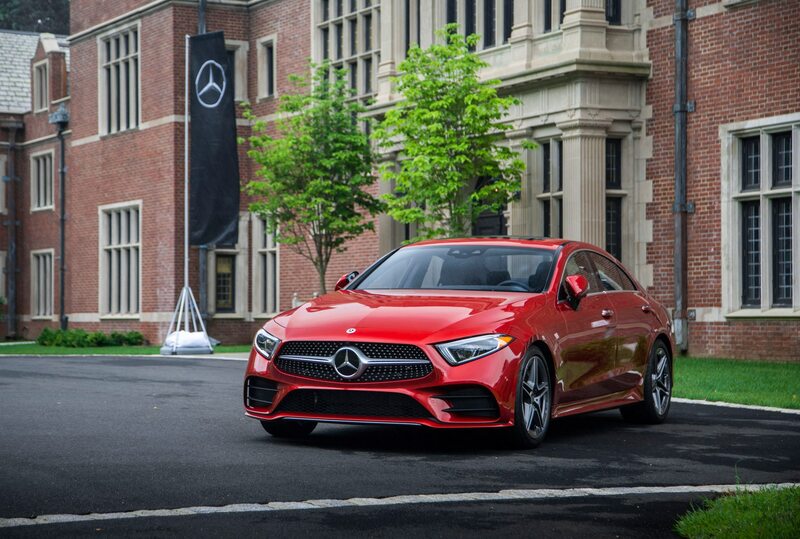 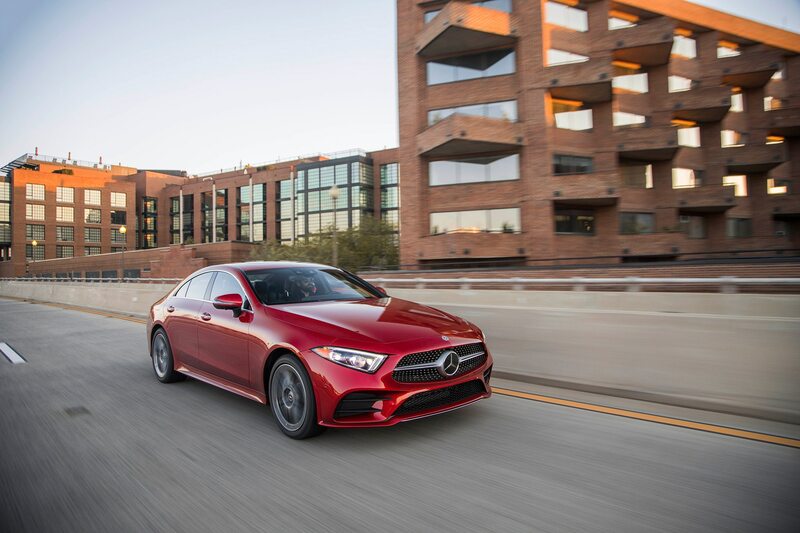 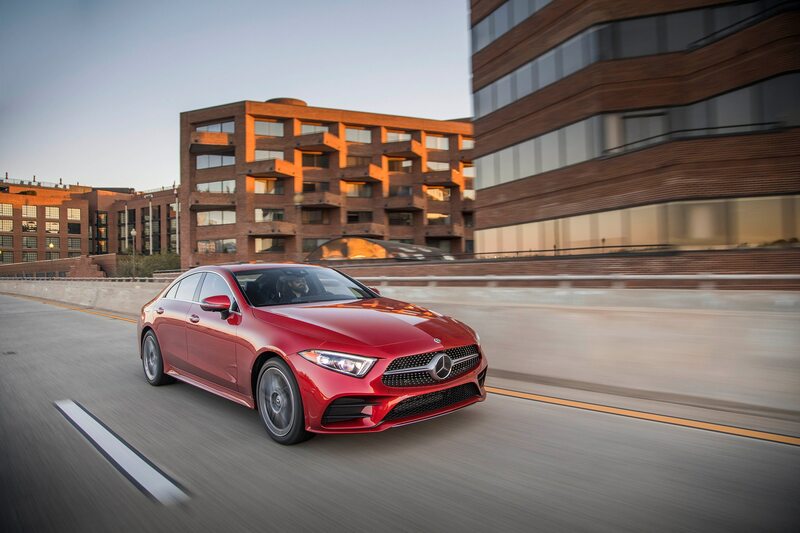 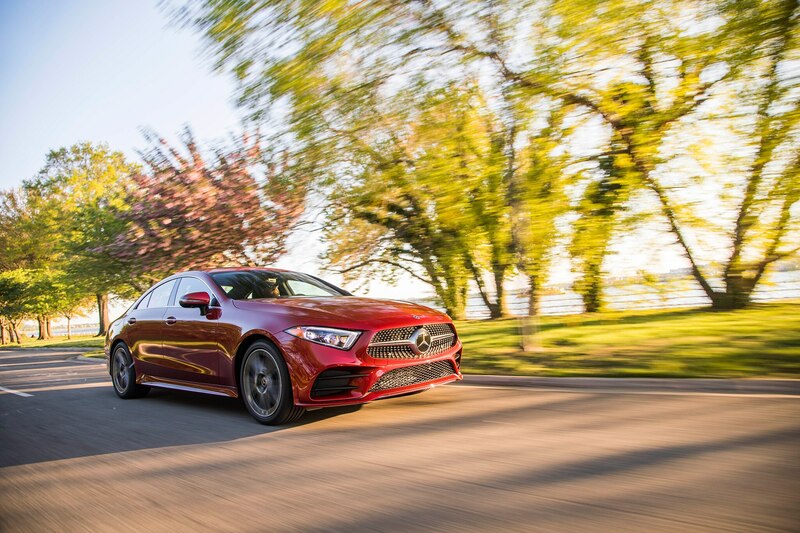 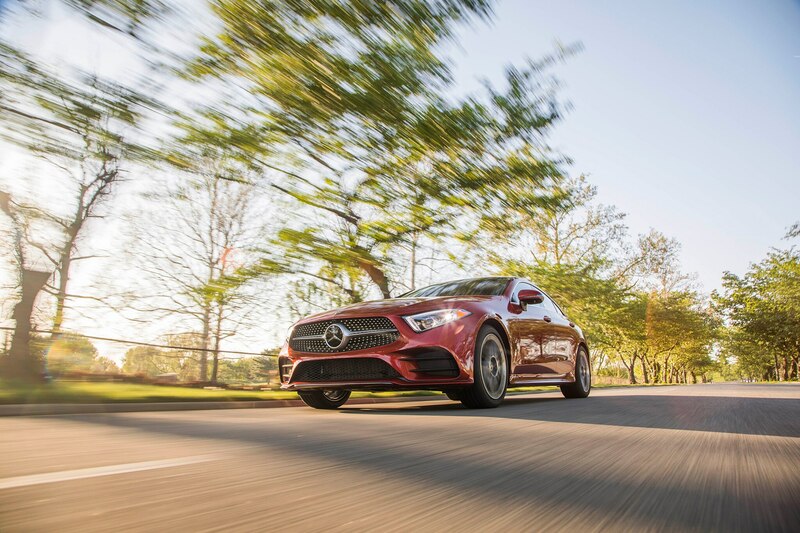 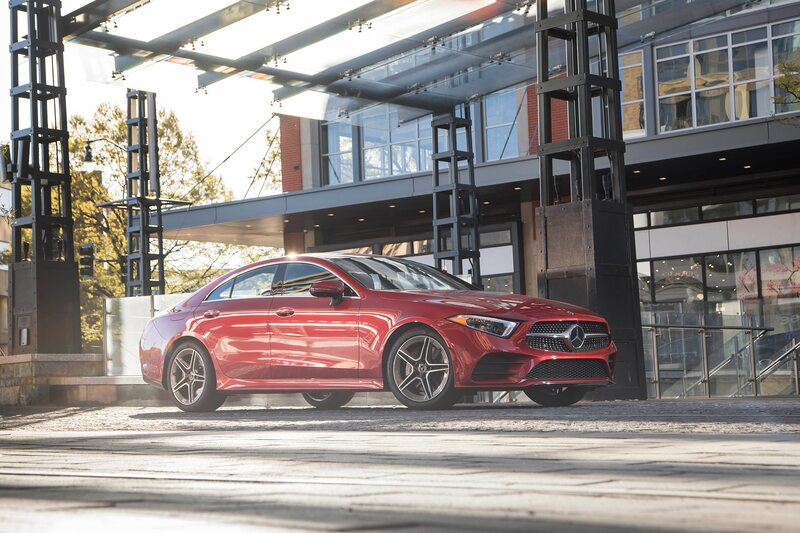 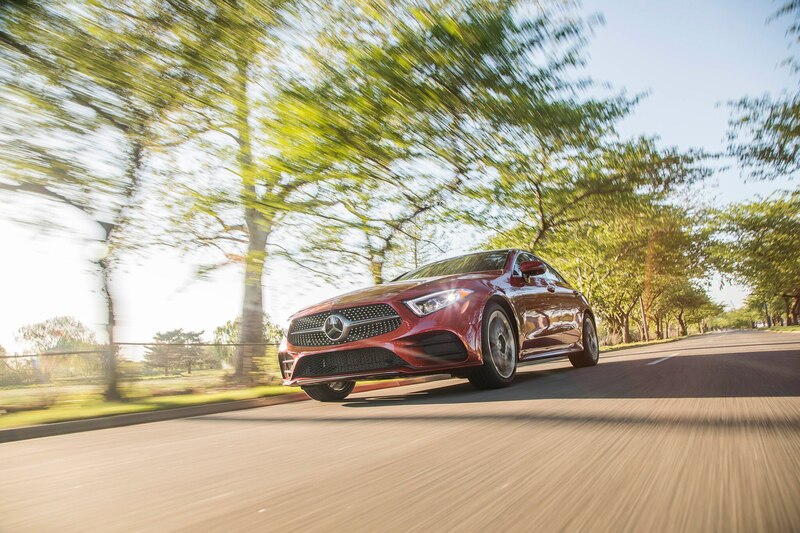 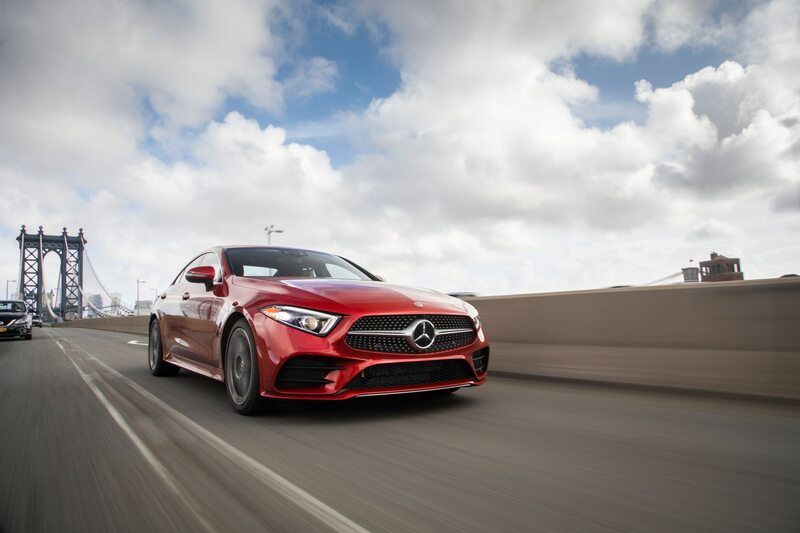 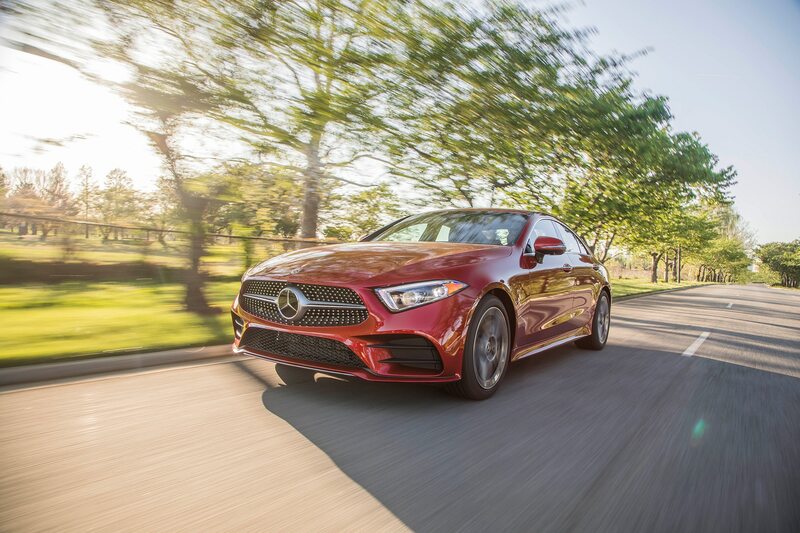 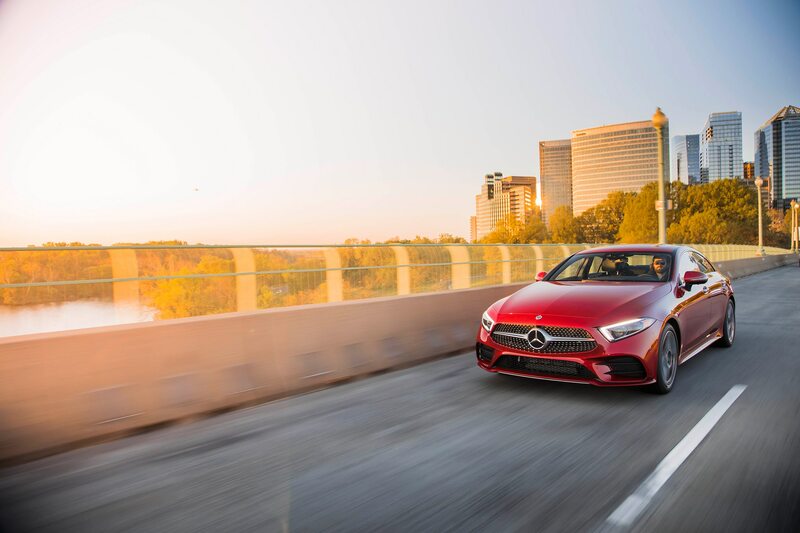 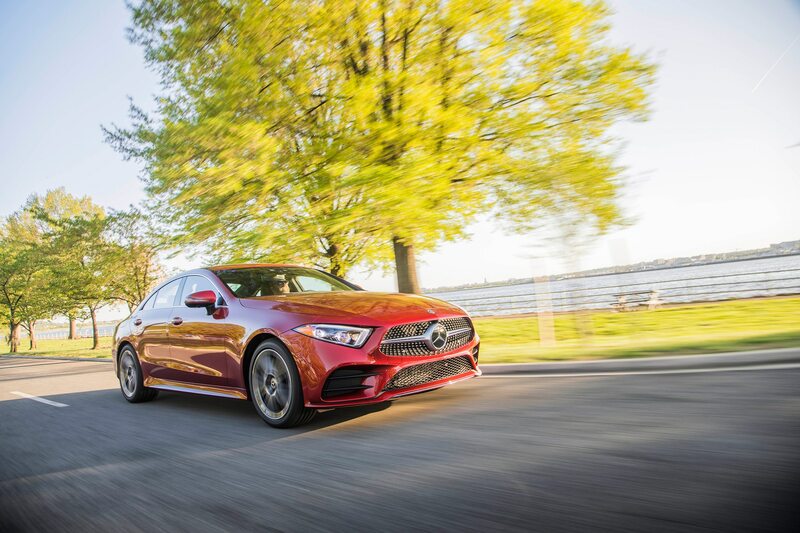 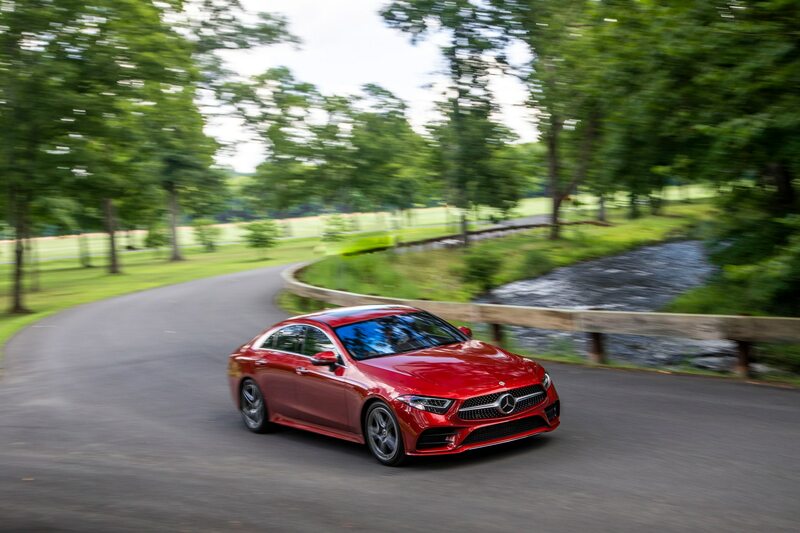 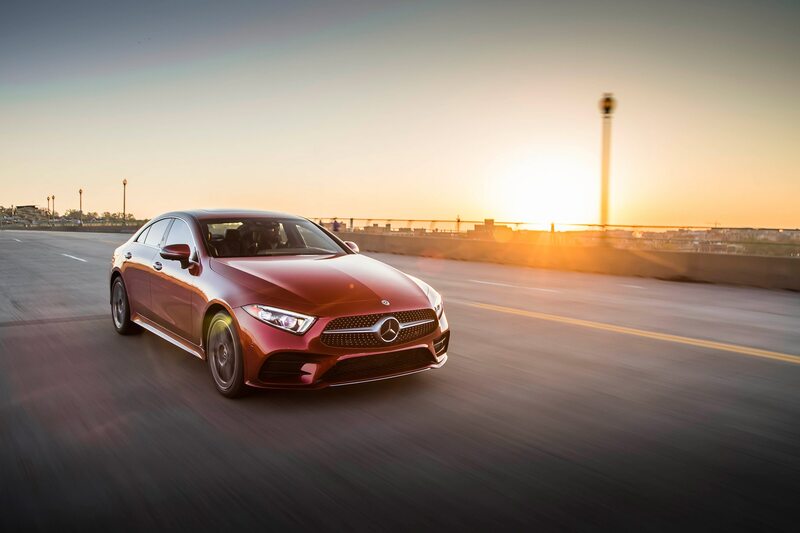 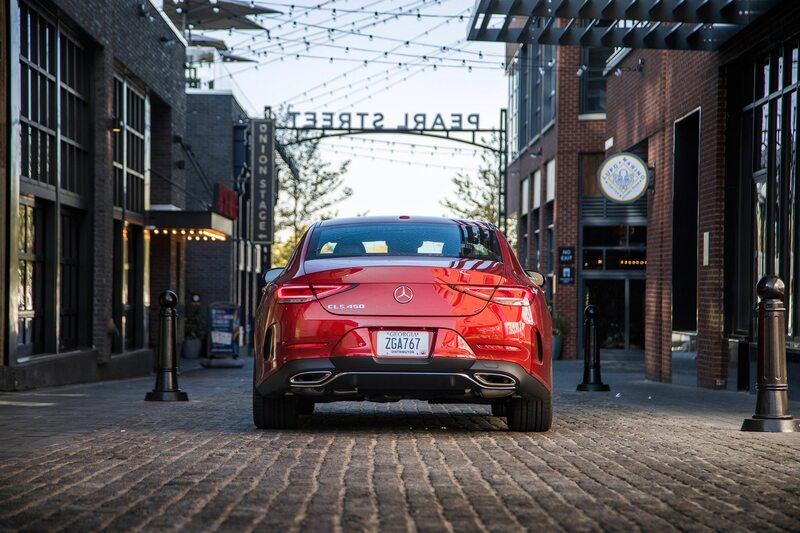 The new-for-2019 third-generation Mercedes-Benz CLS enters a landscape littered with cars that have mimicked it in one form or another. 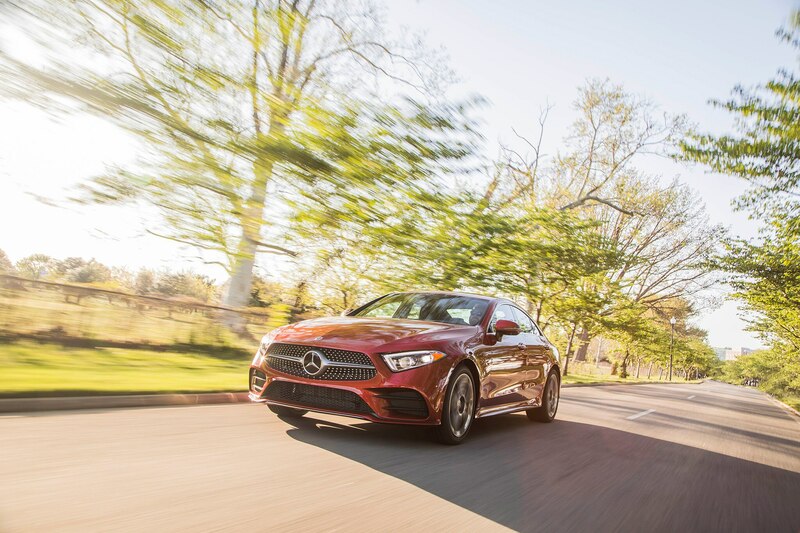 It remains a stylish alternative to the E-Class to which it is most closely related, but it’s no longer showered with the accolades and fanfare (and to be fair, some panning) the first car received. 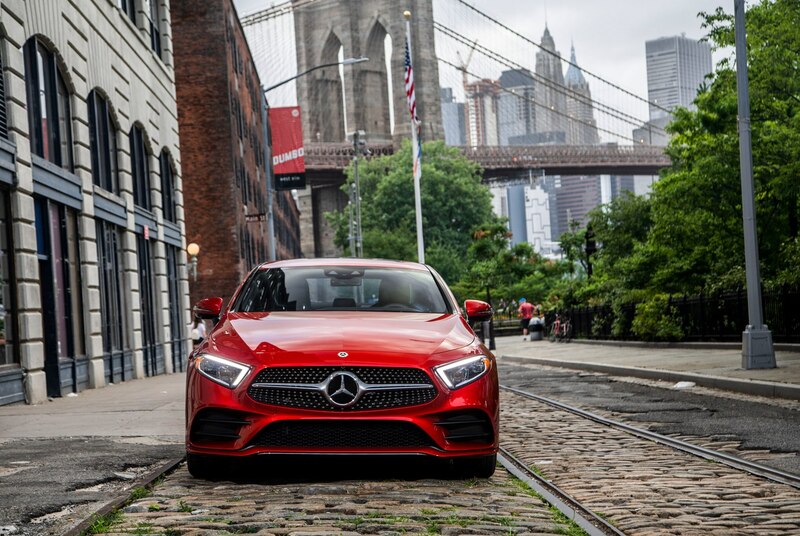 That probably suits Mercedes design chief Gorden Wagener and his team just fine, although they certainly aren’t shy about bringing up the car’s ballyhooed past. 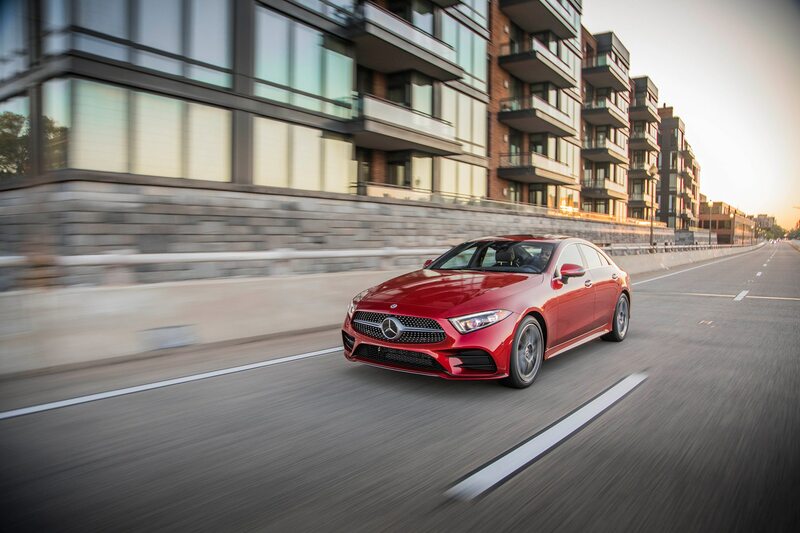 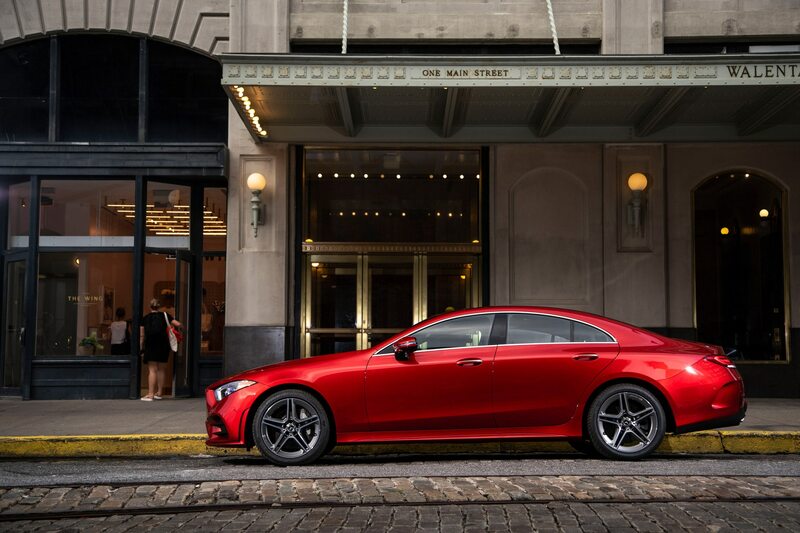 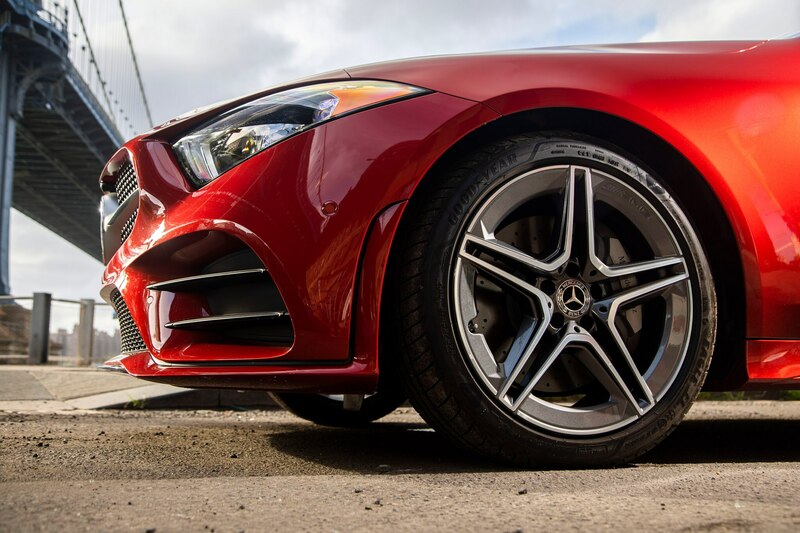 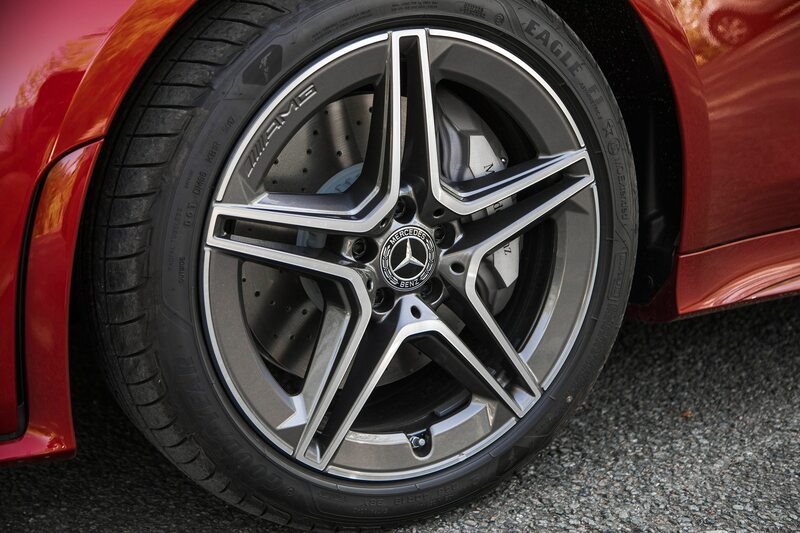 The goal with this latest CLS was to smooth out its surfaces and give it a wider, meaner, AMG-inspired look. 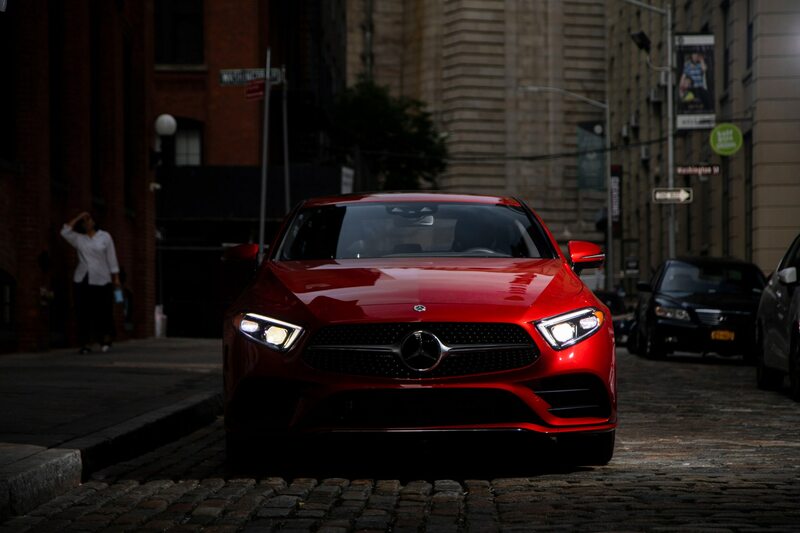 To those ends, they’ve succeeded. 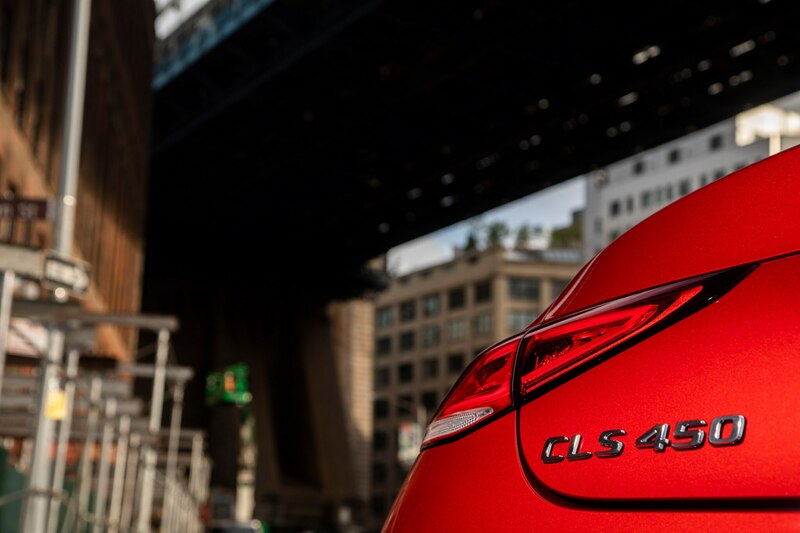 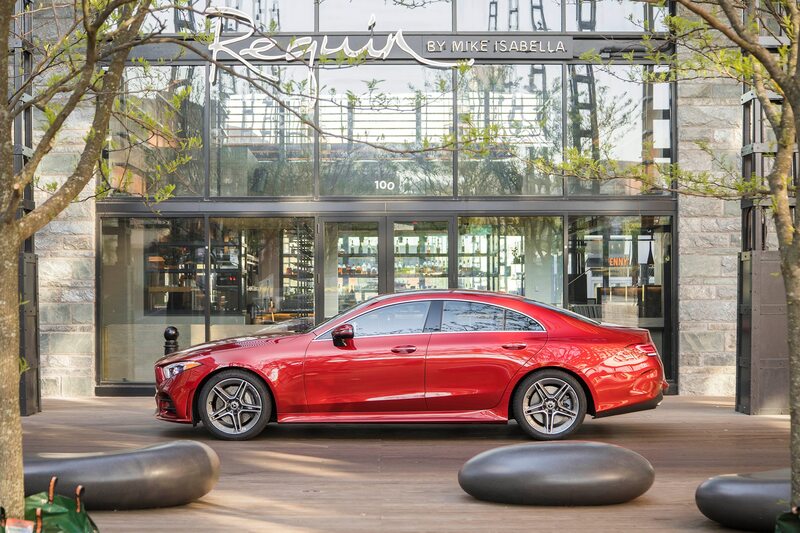 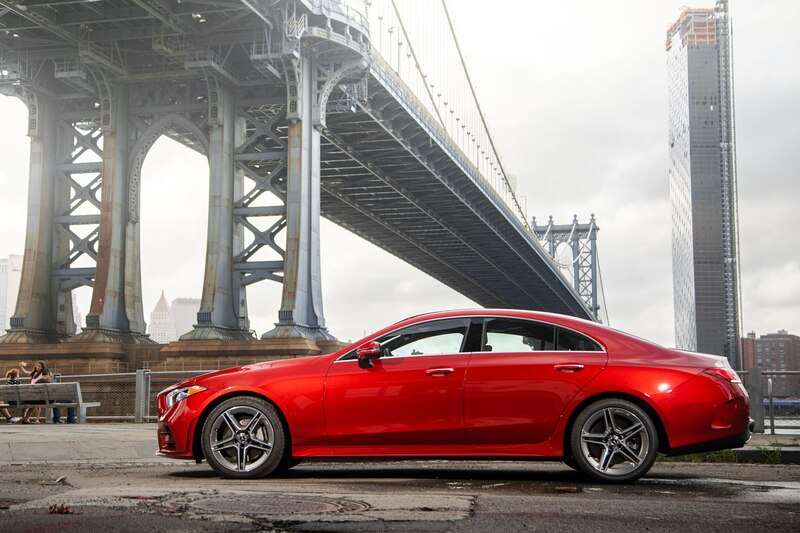 But the outside of the Cardinal Red Metallic 2019 CLS 450 4Matic we’re driving matters little as we pull out of the hotel and head straight into the urban hellscape that is Manhattan traffic at rush hour. 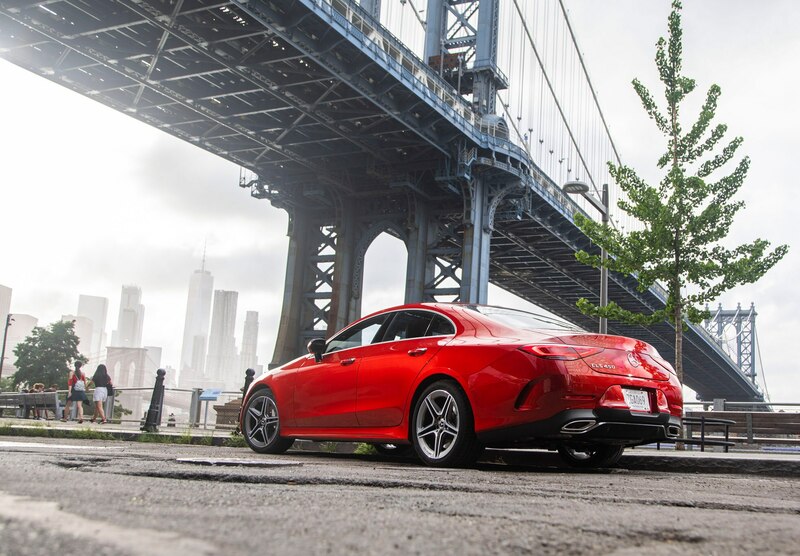 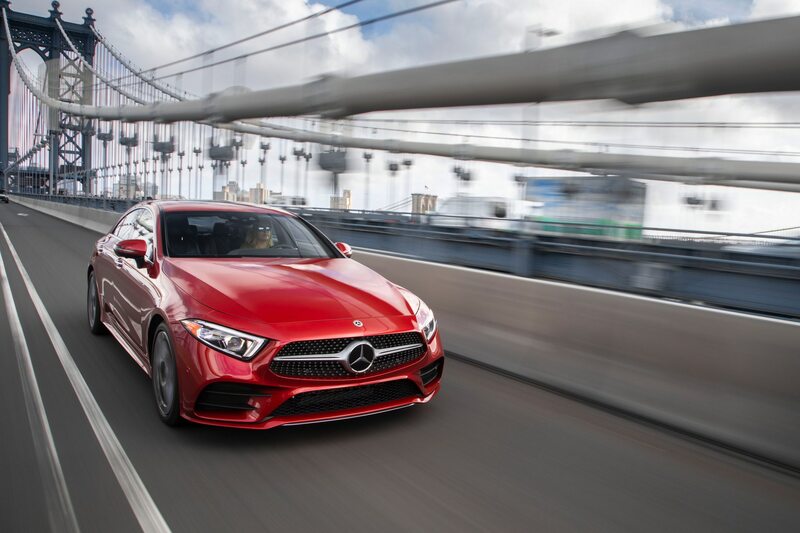 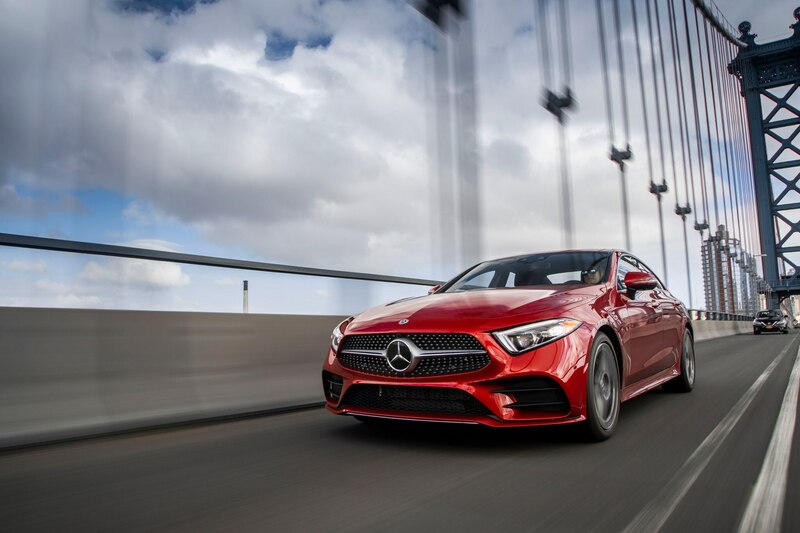 What does matter is how much grunt Benz’s all-new 3.0-liter turbocharged inline-six makes as we dart around a crash on the Brooklyn Bridge. 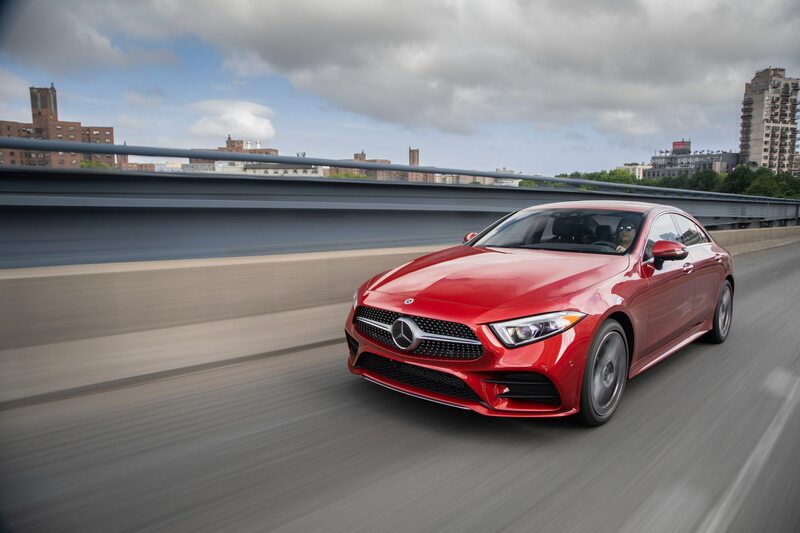 As we’ll come to find out, the 362 horsepower and 369 lb-ft of torque the I-6 outputs isn’t going to throw you back into the car’s comfortable, acceptably bolstered bucket. 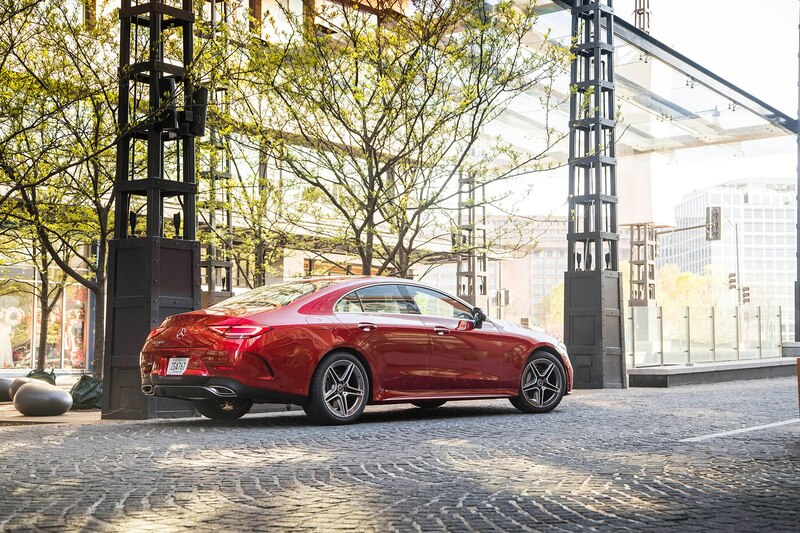 Power comes on smoothly and with authority, though, with 60 mph coming after 4.8 seconds, and the nine-speed automatic shifts without drama. 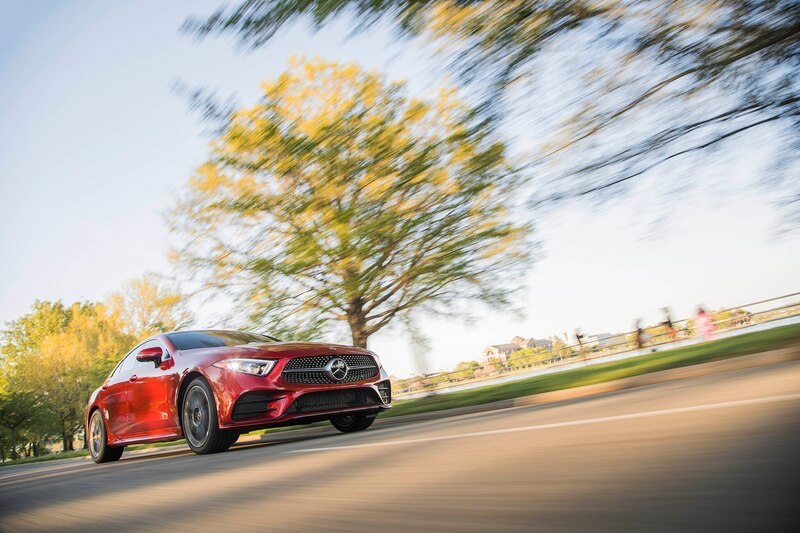 Mat the throttle and the car will rear back on its haunches as it launches and dives when the binders clamp hard on the 14.2-inch disc at each corner. 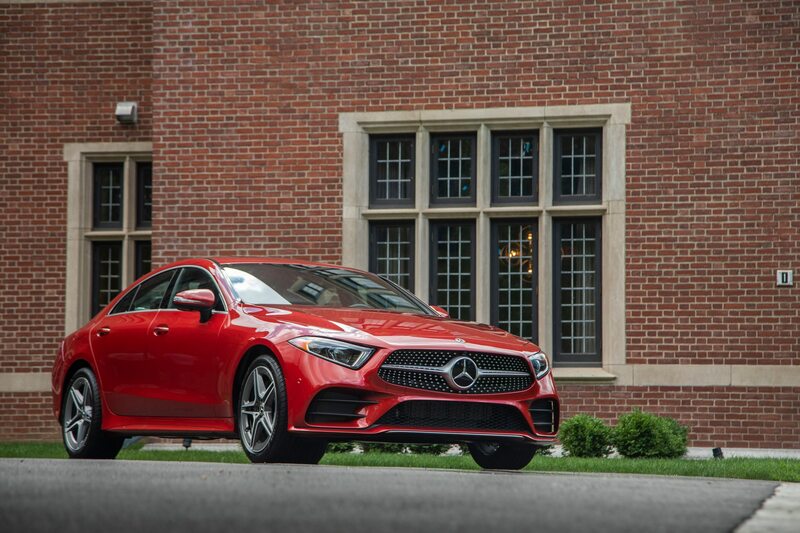 It’s the first time in some 20 years an inline-six has been offered in a Mercedes. 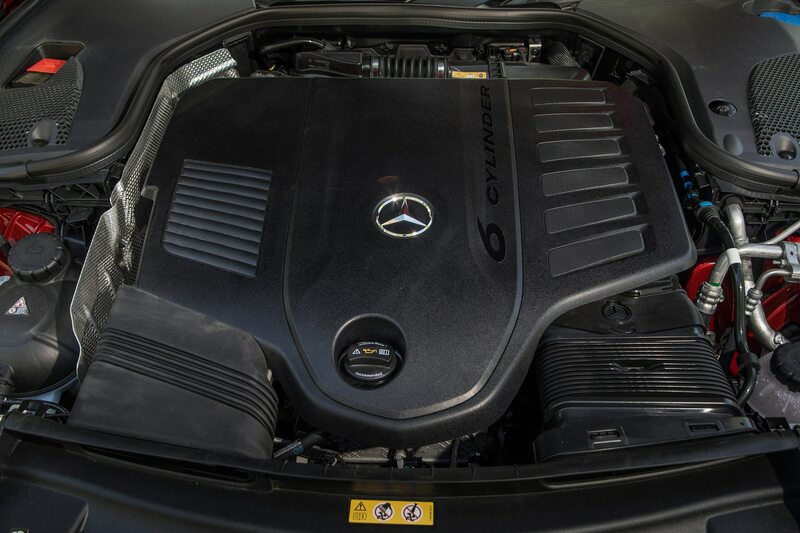 It replaces the outgoing car’s 402-hp, twin-turbo 4.7-liter V-8. 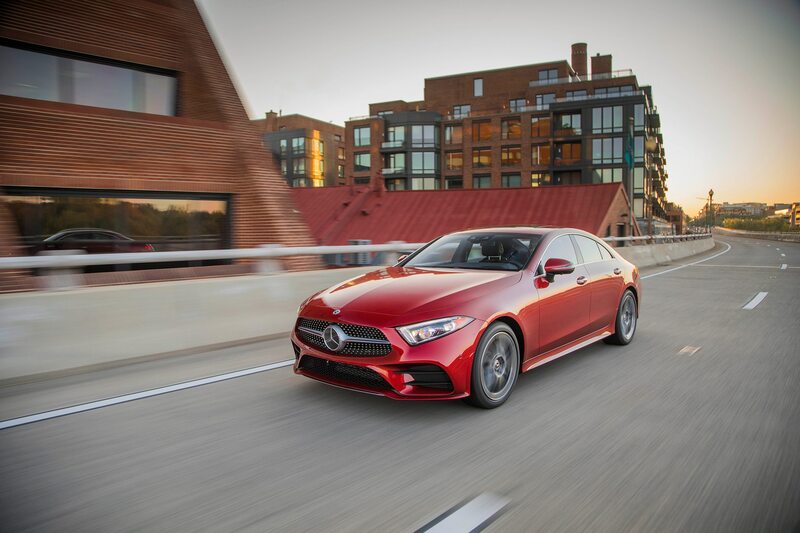 While the engine has been starting to make its way into Benz’s European offerings, the 2019 CLS is the first U.S. market car to get it. 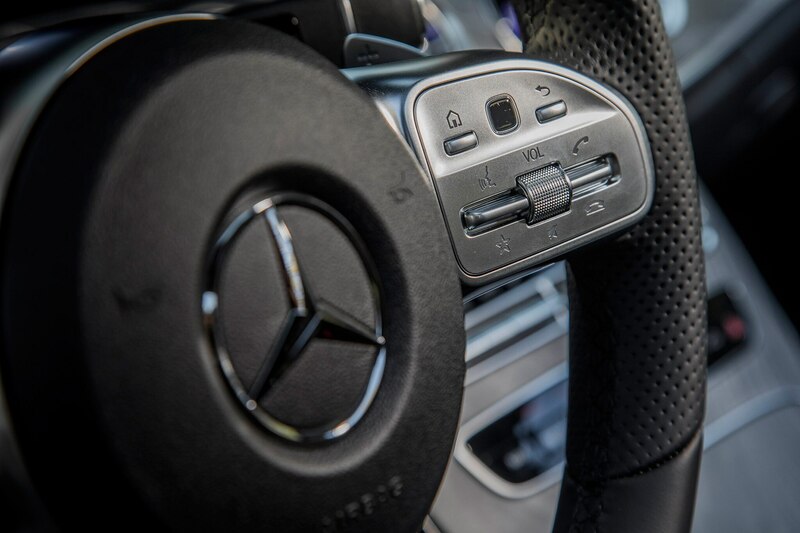 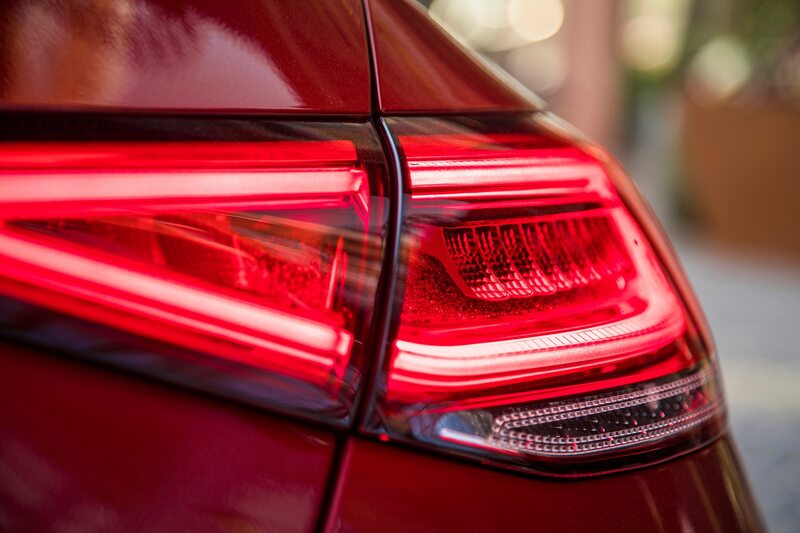 And bolted between the engine and transmission is another recent Mercedes first, a 48-volt system it calls EQ Boost. 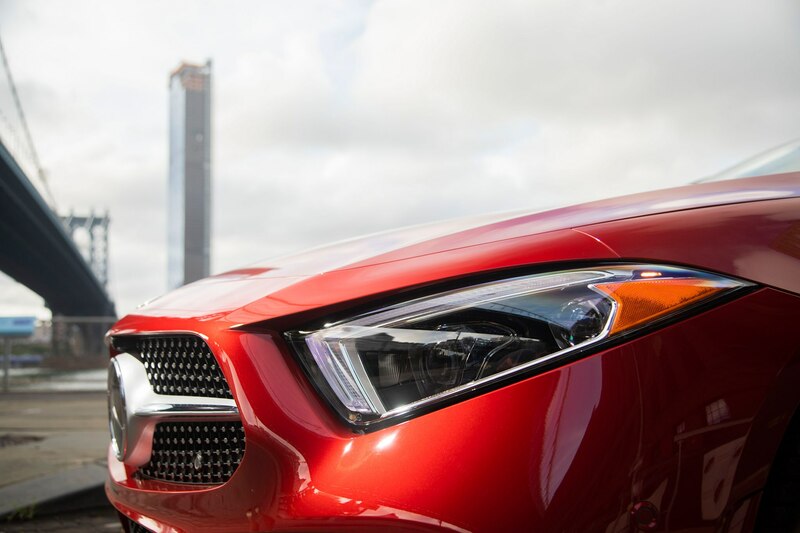 Essentially an integrated starter/generator system, EQ Boost provides a (wait for it) boost of 21 horsepower and 184 lb-ft for a short period. 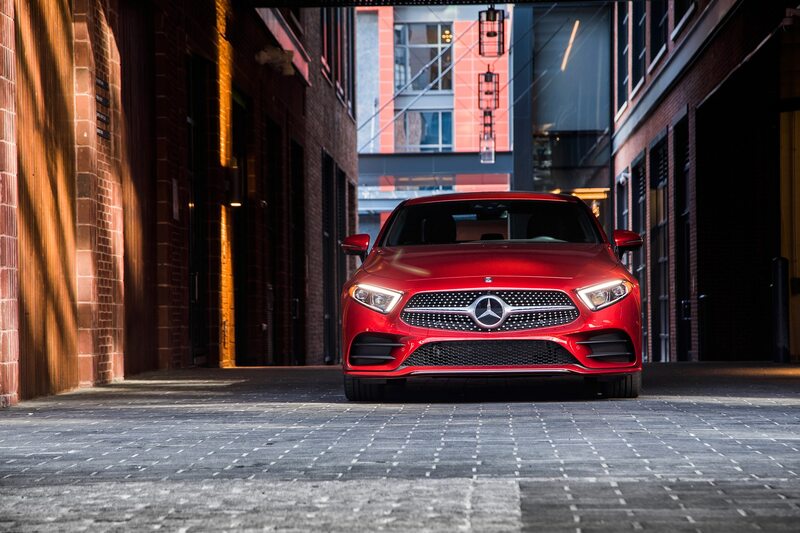 How long or short, we don’t know (we asked), though the burst of power is said to help mitigate turbo lag under heavy acceleration. 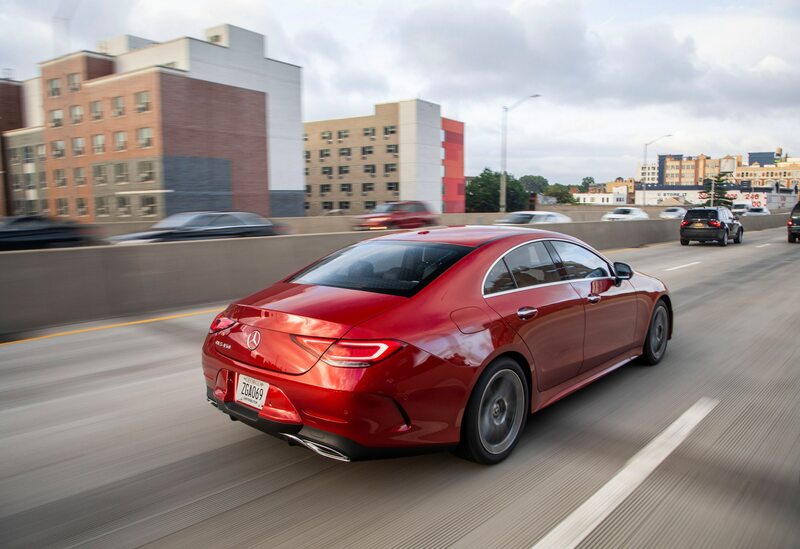 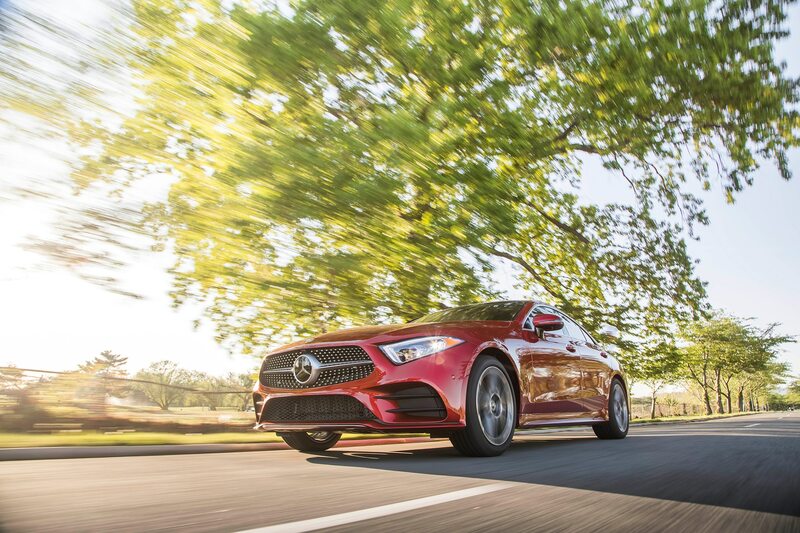 It also helps eke out an extra mpg or two, primarily by optimizing the stop/start system for the 2019 CLS. 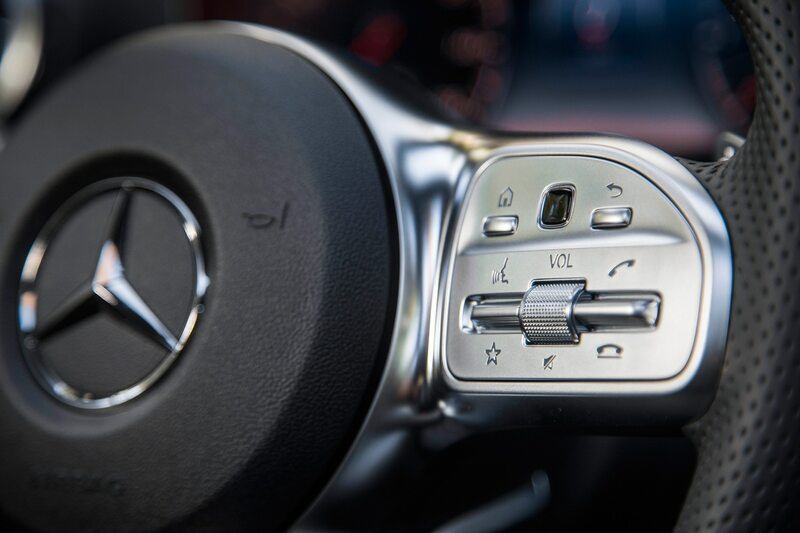 We hate stop/start, but if you’re going to offer it, it had better be seamless. 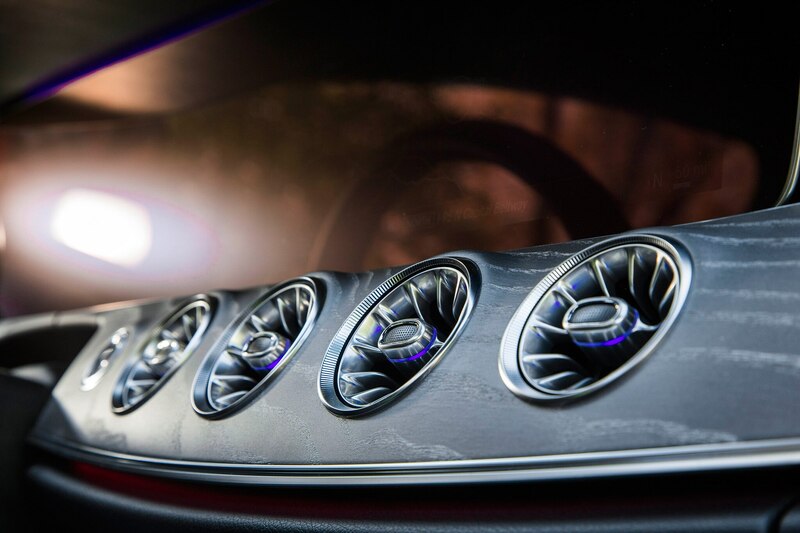 This is far and away the best we’ve experienced, so kudos to Benz’s engineers for making something so loathed more than bearable. 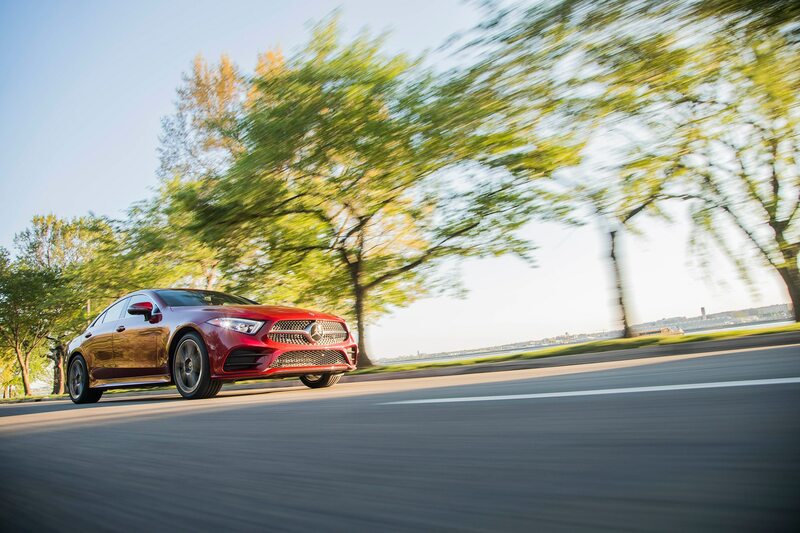 EQ Boost also helped engineers eliminate the use of pulleys altogether for the 3.0-liter six. 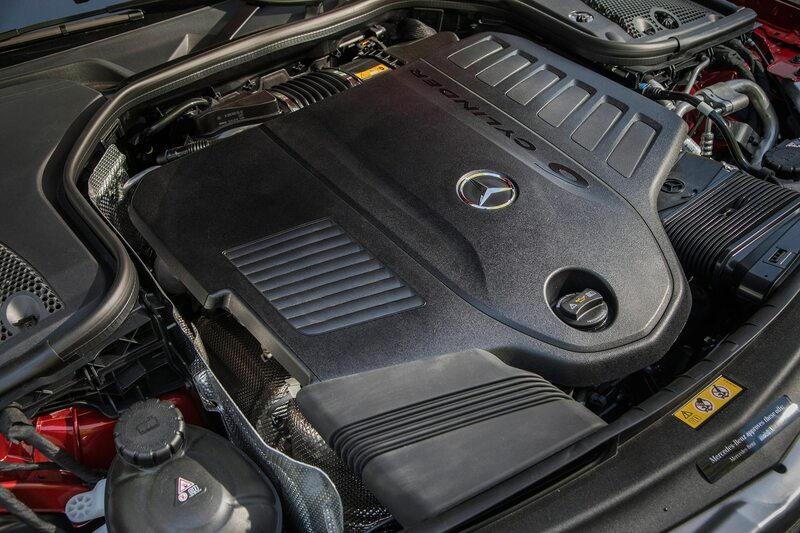 From twin-turbo V-8 to turbo I-6, pulleys to no pulleys—ah, progress. 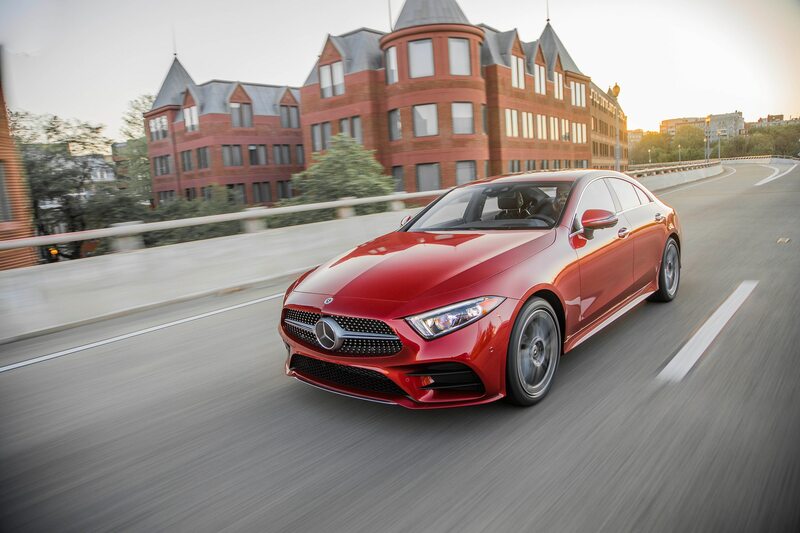 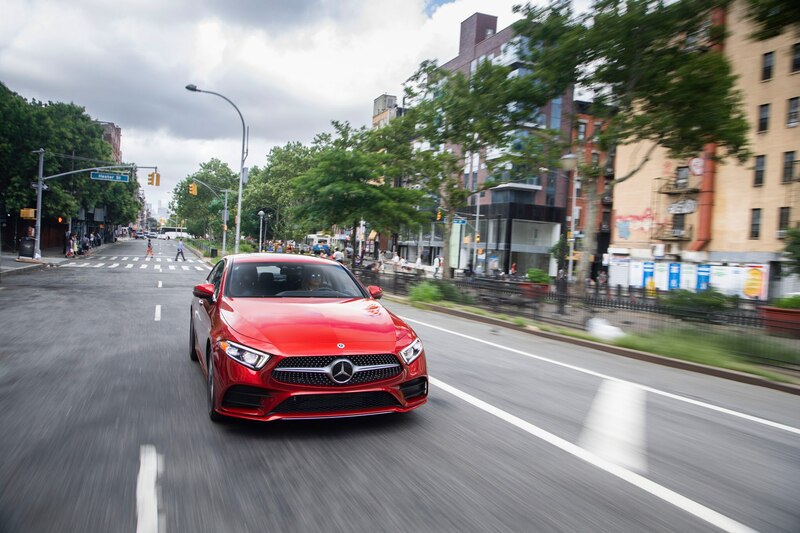 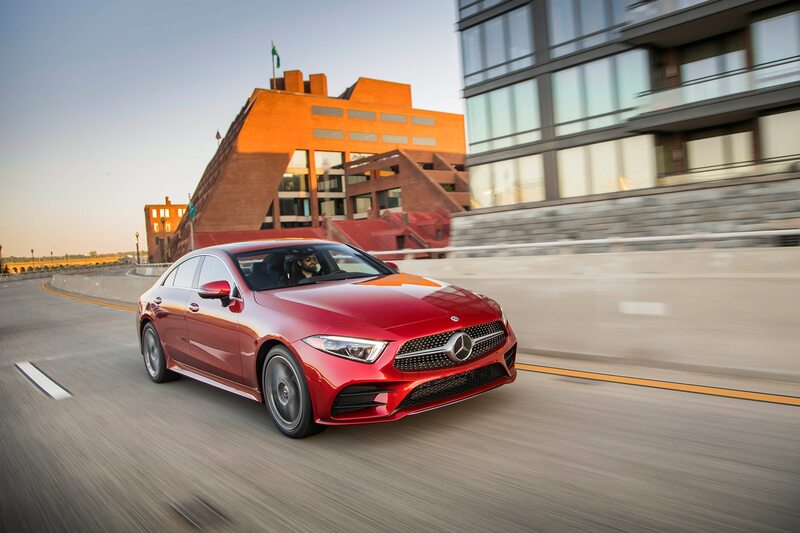 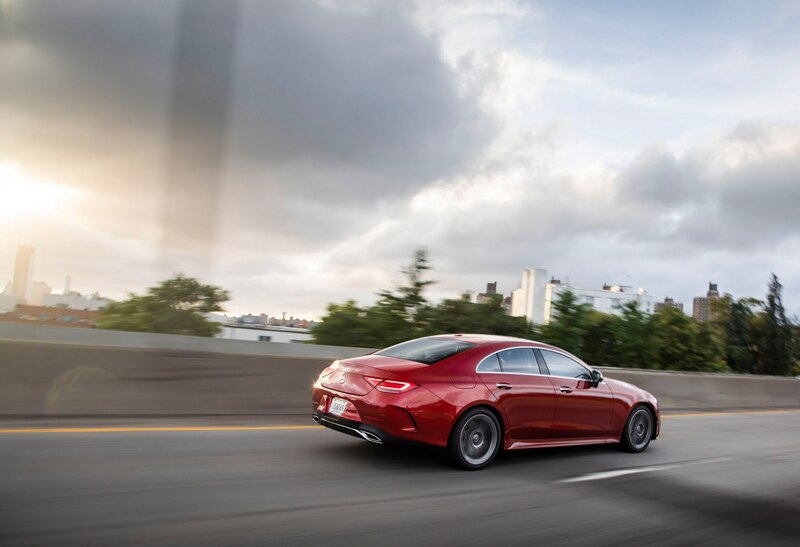 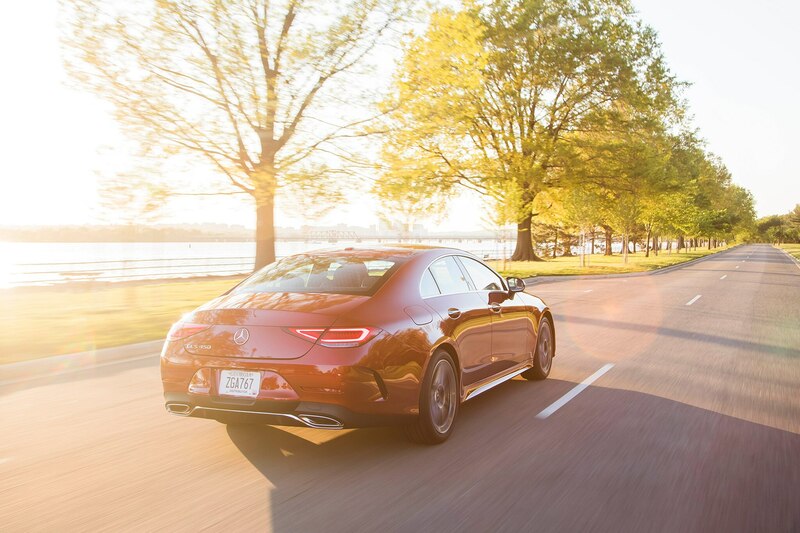 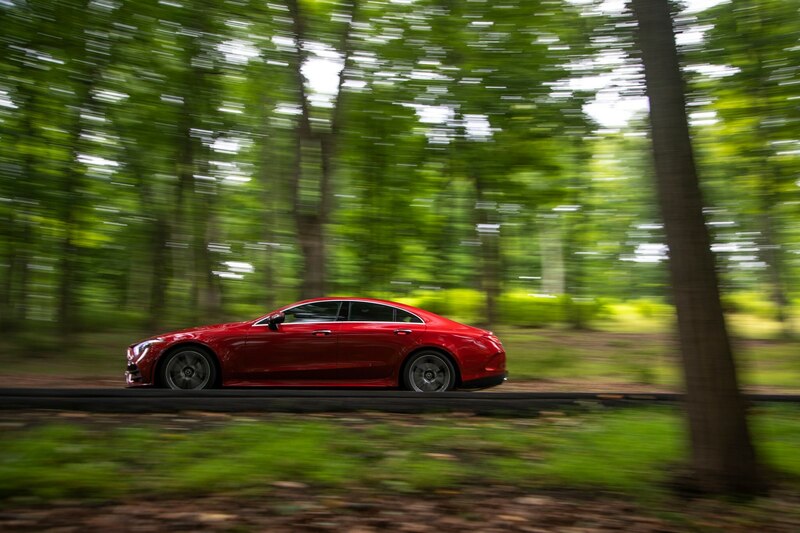 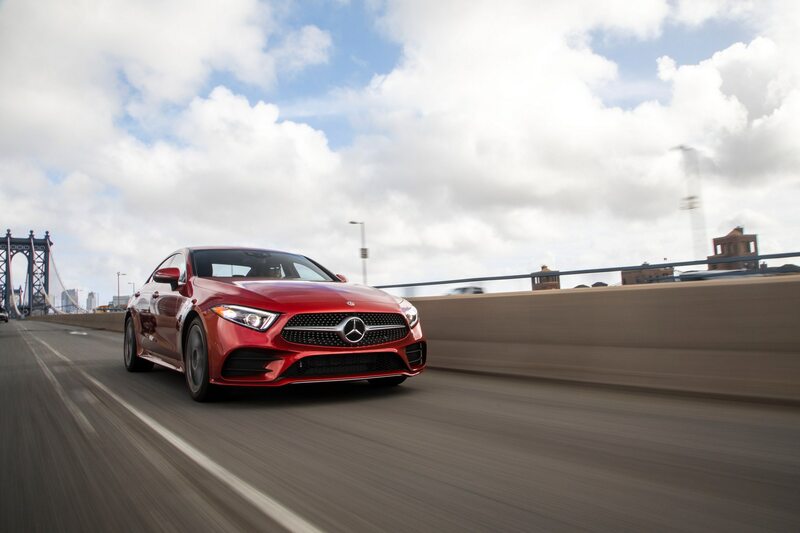 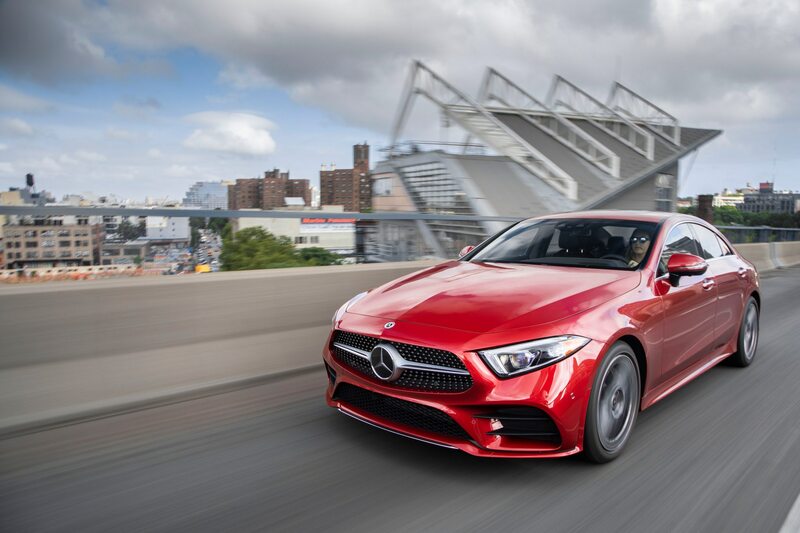 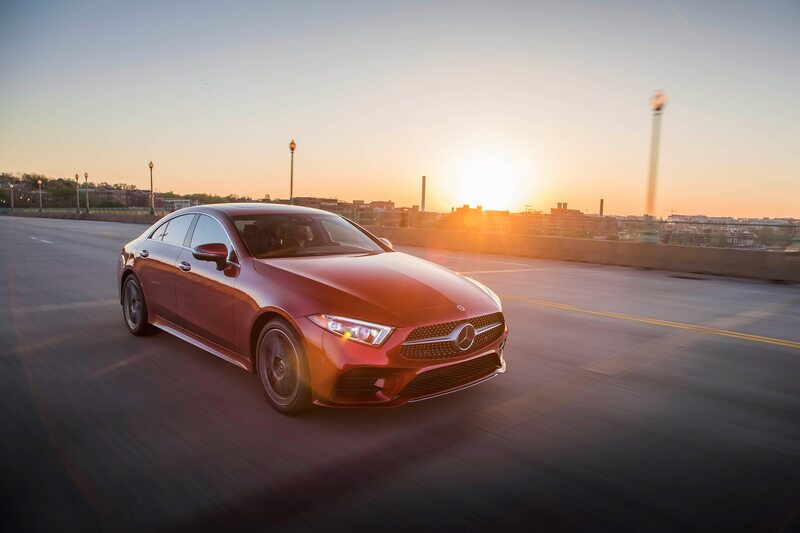 We spent the majority of our time in the 2019 CLS bombing across a sampler platter of New York and New Jersey’s crumbling highway infrastructure and a couple of things became apparent after several hours behind the 450 4Matic’s meaty wheel. 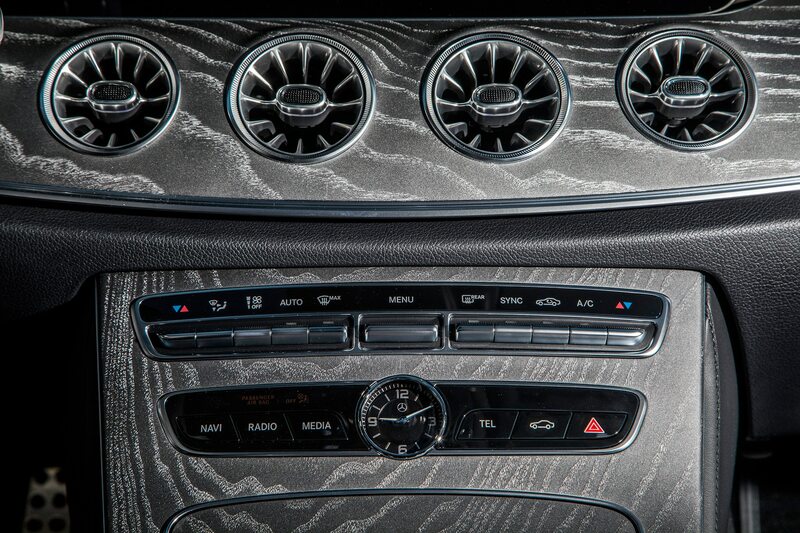 Cabin noise is well-damped at speed, as you’d expect of a luxury car that will likely start in the high 70k range. 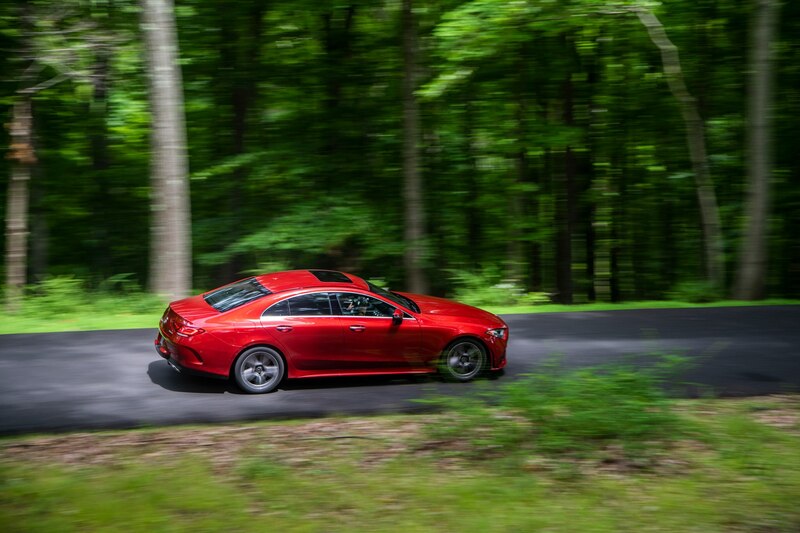 The CLS didn’t exactly glide over significant road imperfections, and on twisty back roads it will roll some, even in Sport+ mode. 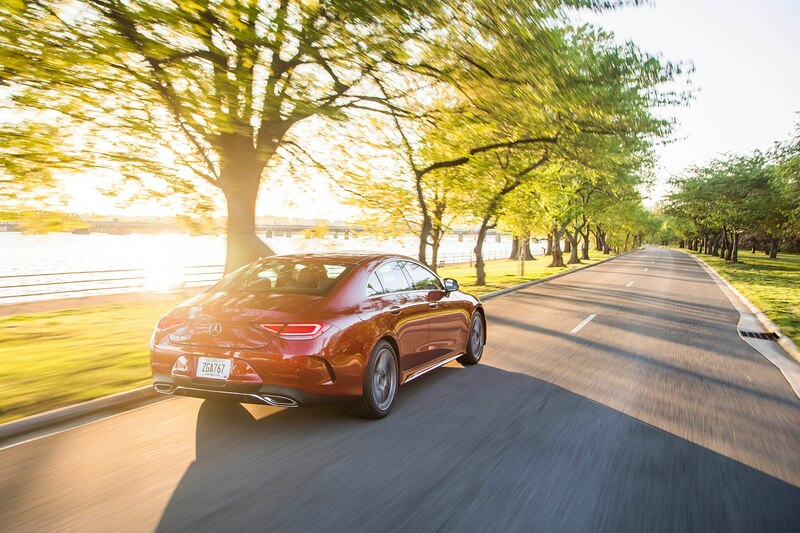 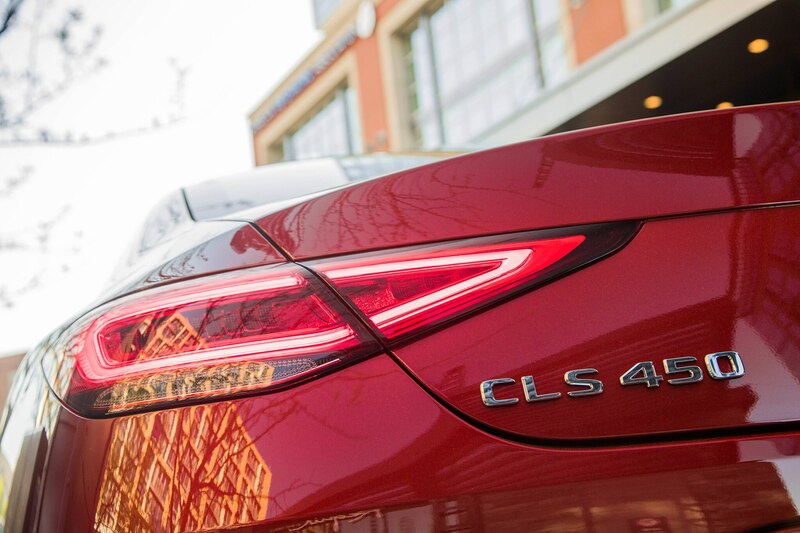 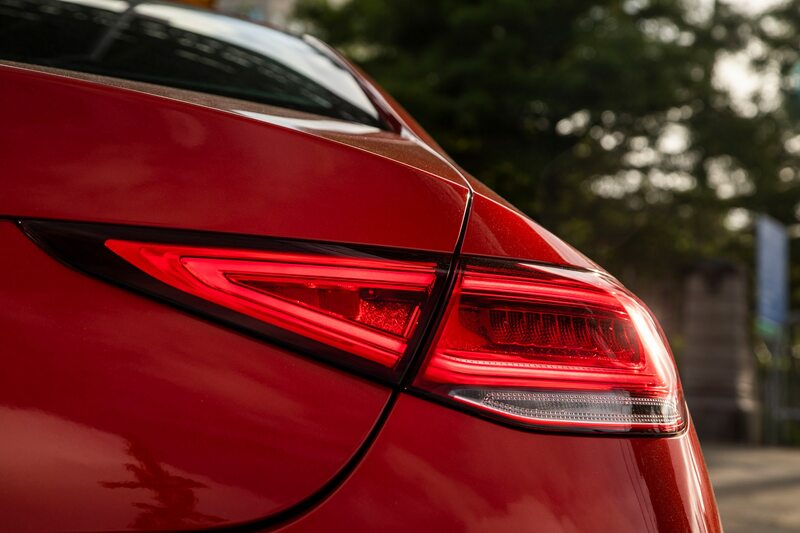 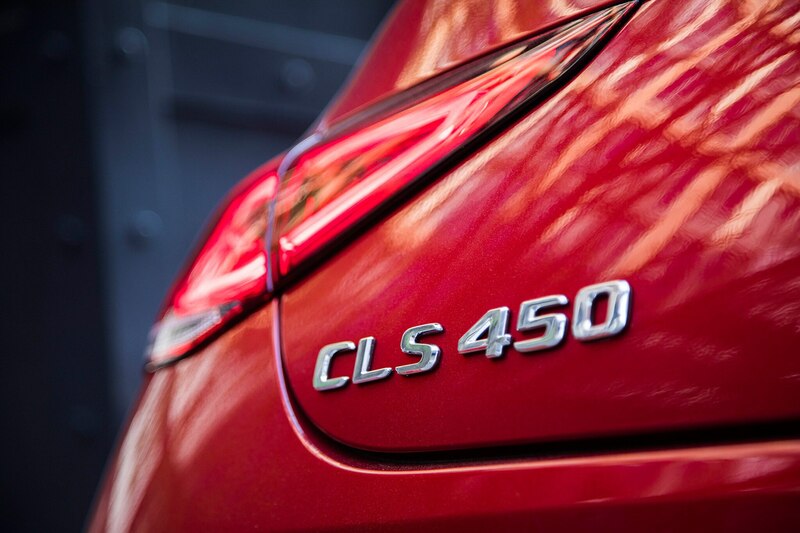 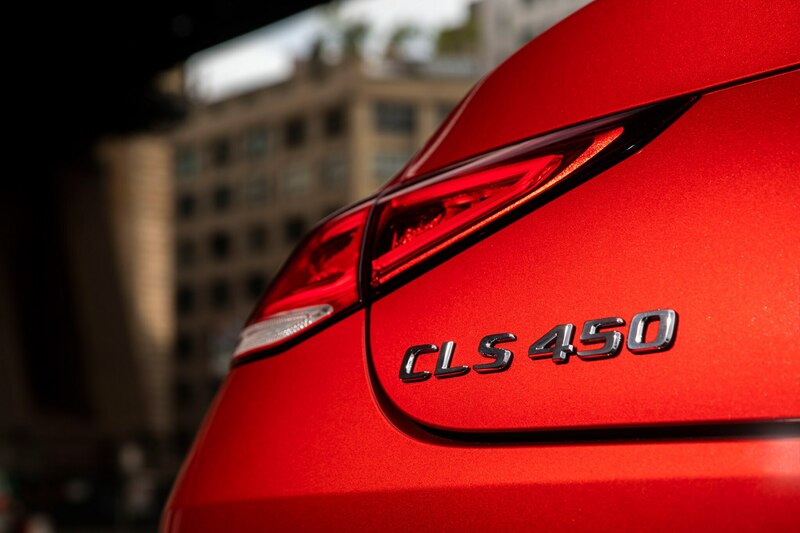 That’s not to say you can’t have more than a bit of fun with it, but the CLS 450 4Matic is meant more for cruising about town in style and rolling down the highway in a wide variety of weather conditions with the toggle flipped to Comfort mode. 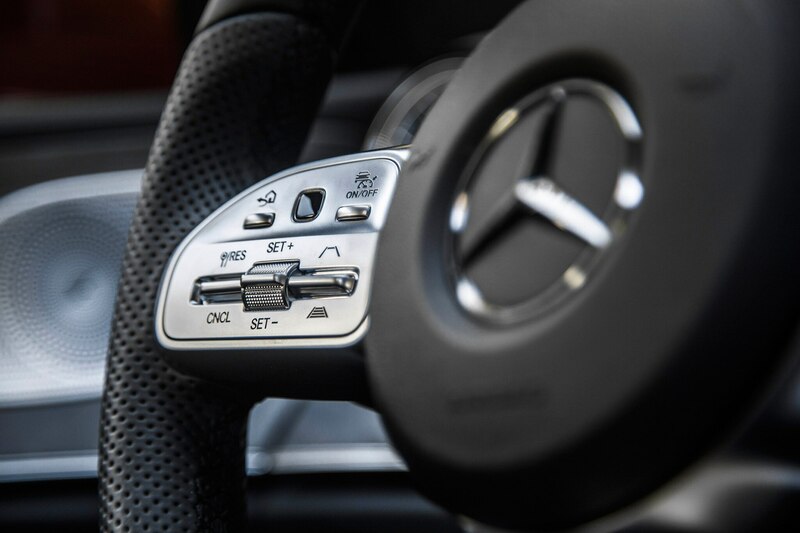 Set it in Eco mode with the Stop/Start feature on and get off the gas, and depending on the situation the engine will shut off and the car can glide for a bit, another EQ Boost benefit (it’s not going to maintain speed while doing so, however). 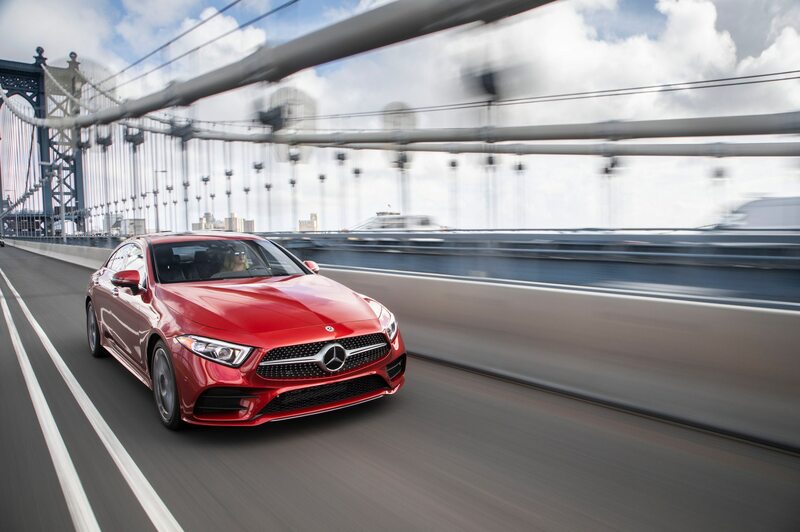 Its steering feel is heavy and direct, and with progressive modes from Eco to Sport+ it gets marginally sharper, shift points more aggressive, etc., but it’s not going to blow you away dynamically. 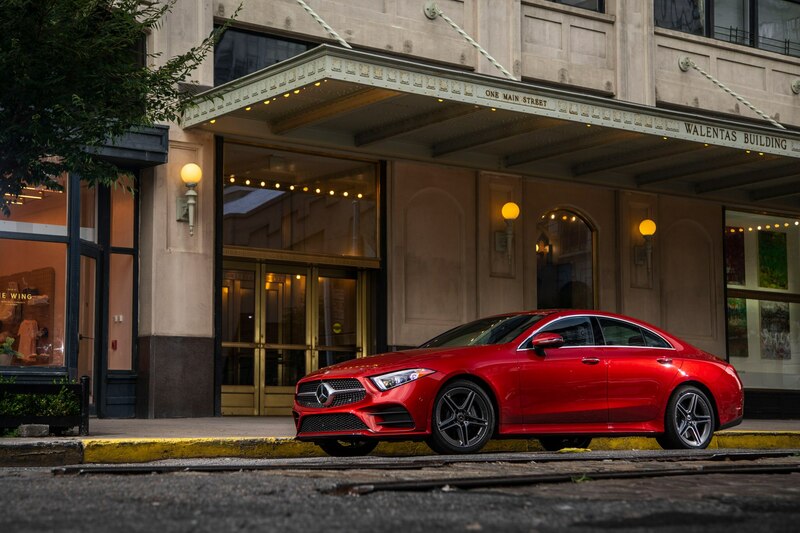 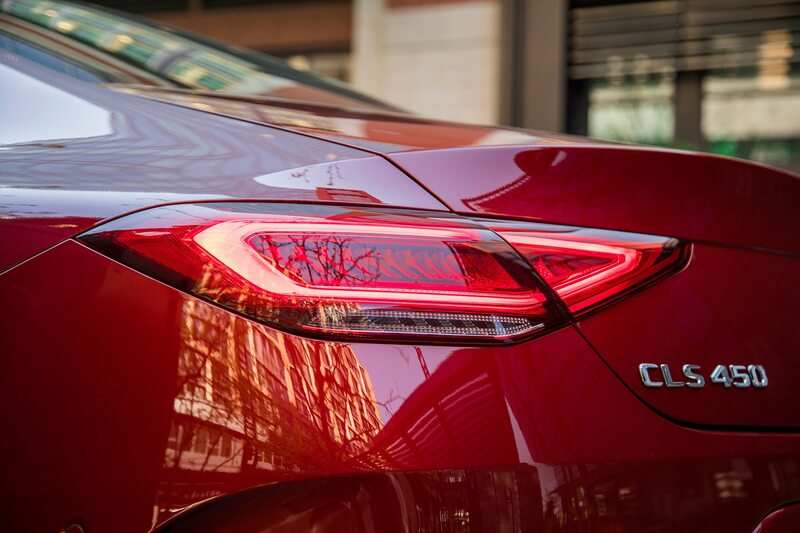 This is a grand touring, four-door coupe, plain and simple. 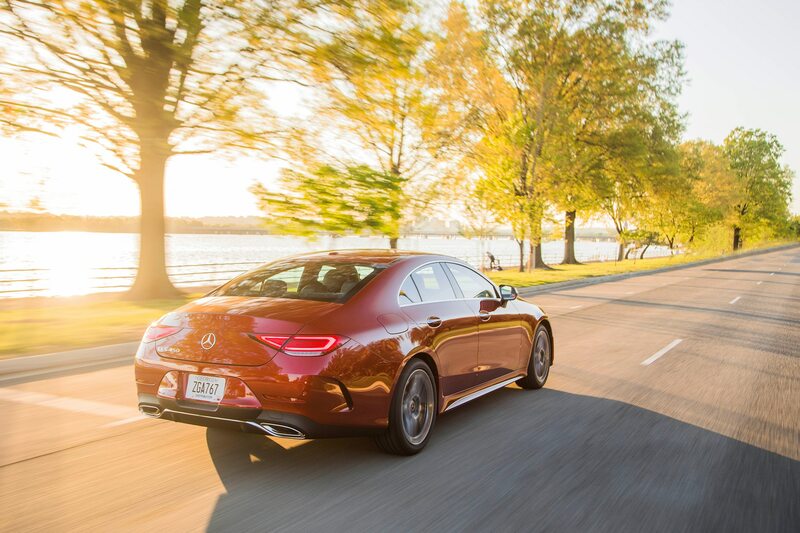 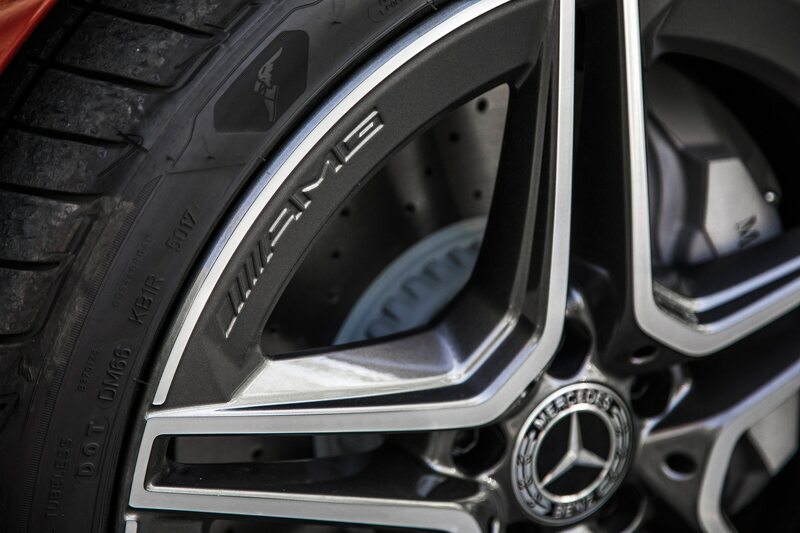 If you’re looking for high-end performance from your CLS, wait for the coming Mercedes-AMG CLS 53 (we certainly are). 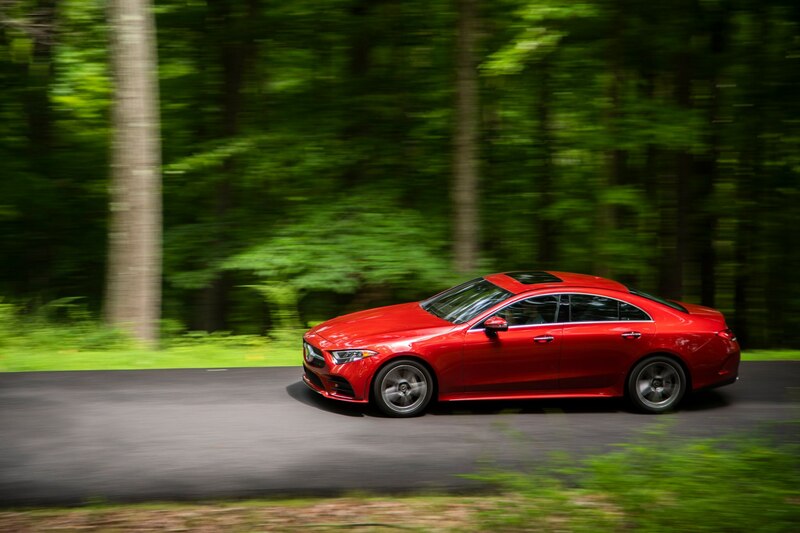 That sense of touring in grandeur carries though to the cabin. 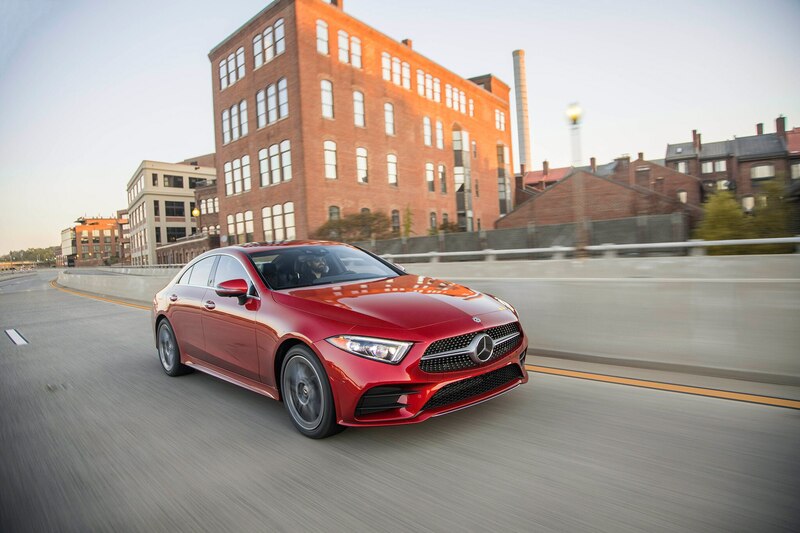 New to the 2019 CLS is a 12.3-inch infotainment screen that integrates next to an optional 12.3-inch digital instrument panel in what Benz USA’s chief product manager Bernie Glaser calls “the surfboard” (cowabunga, dude). 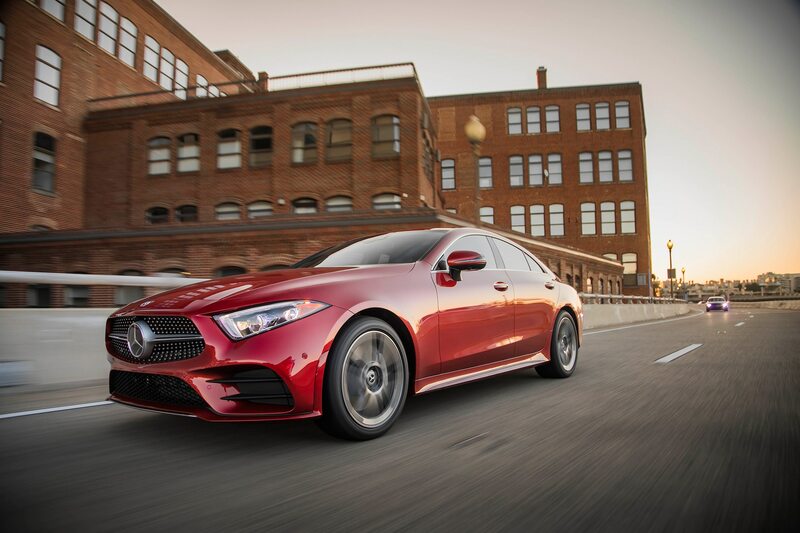 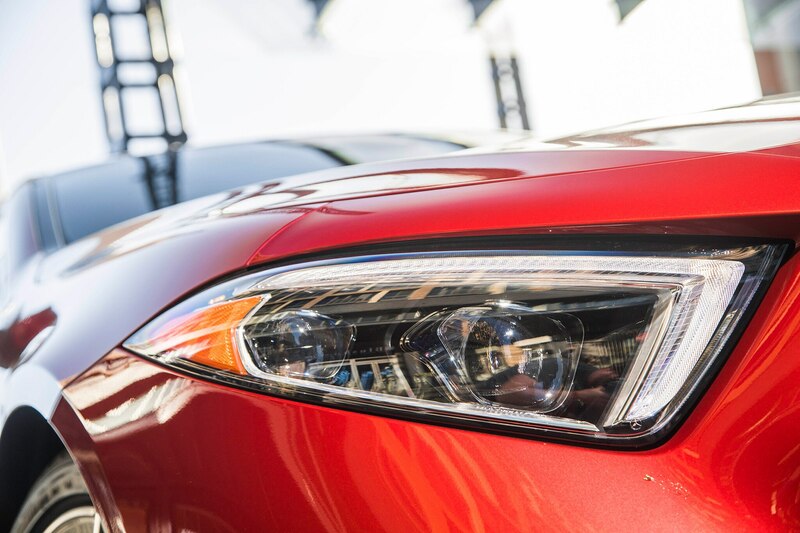 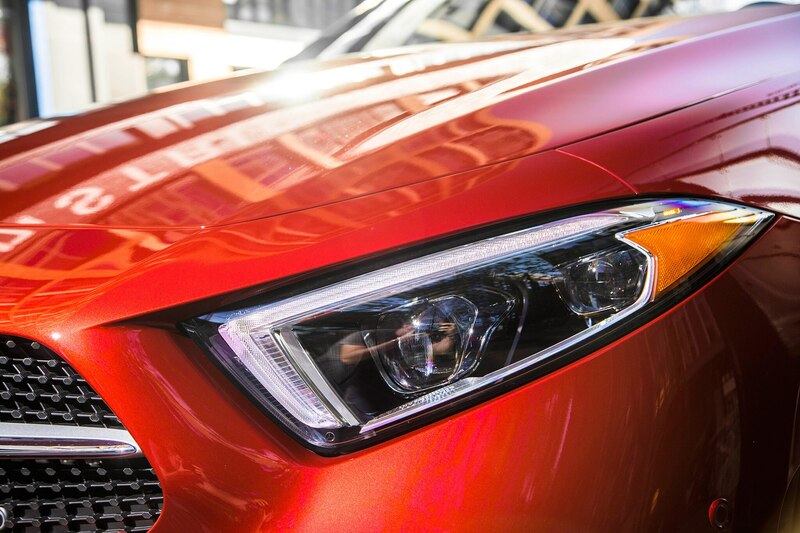 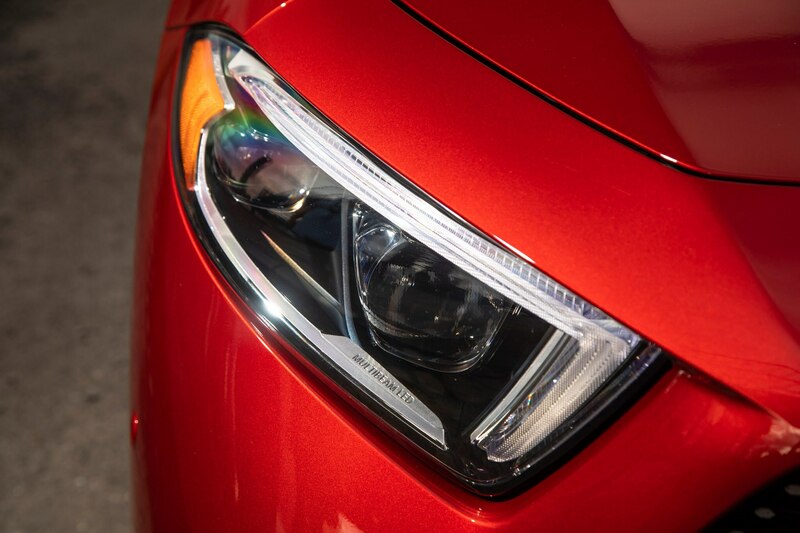 It commands the automaker’s aging yet capable COMAND system. 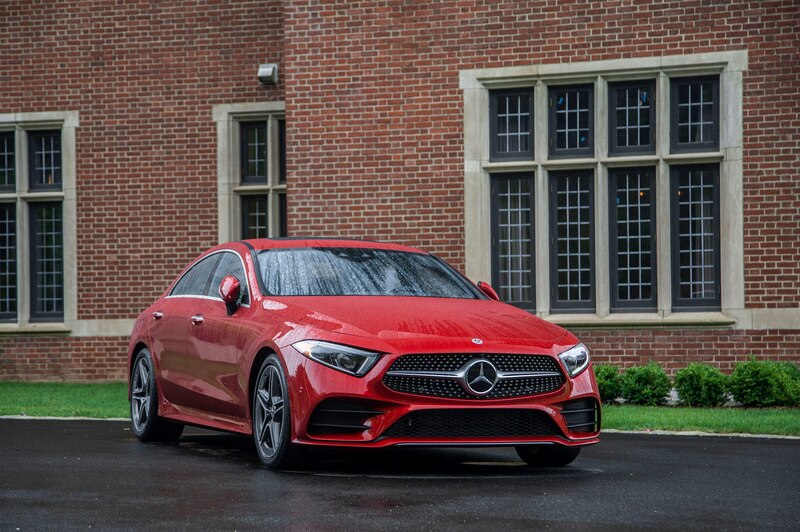 (Side note: after demoing the new MBUX infotainment setup in the coming A-Class, it needs to be in every new Benz, stat.) 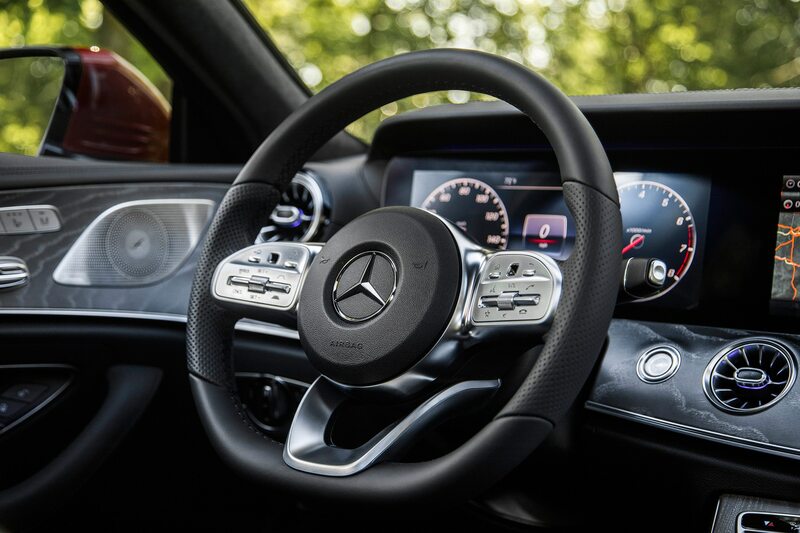 The optional head up display is one of the best on the market, with a top notch navigation feature. 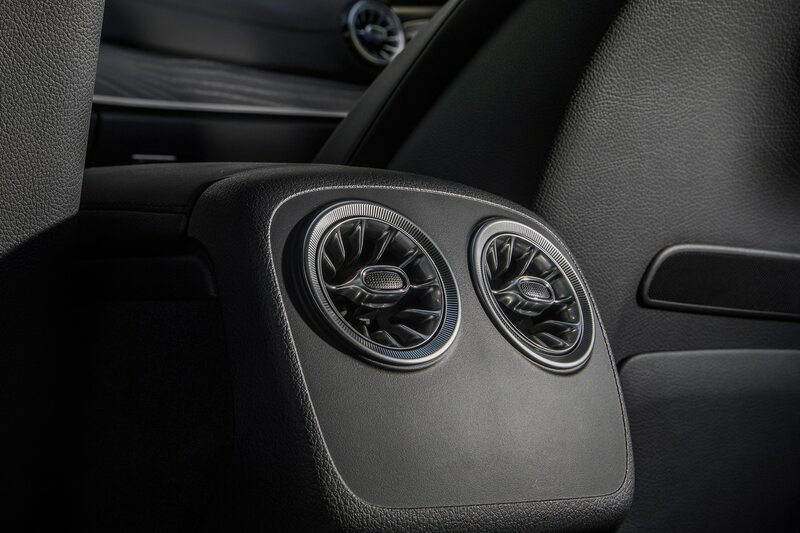 Our tester also came with gray ash wood trim, new turbine style air vents that light up (64 colors, pick your favorite), and an optional Nappa black leather package that glammed up the cabin. 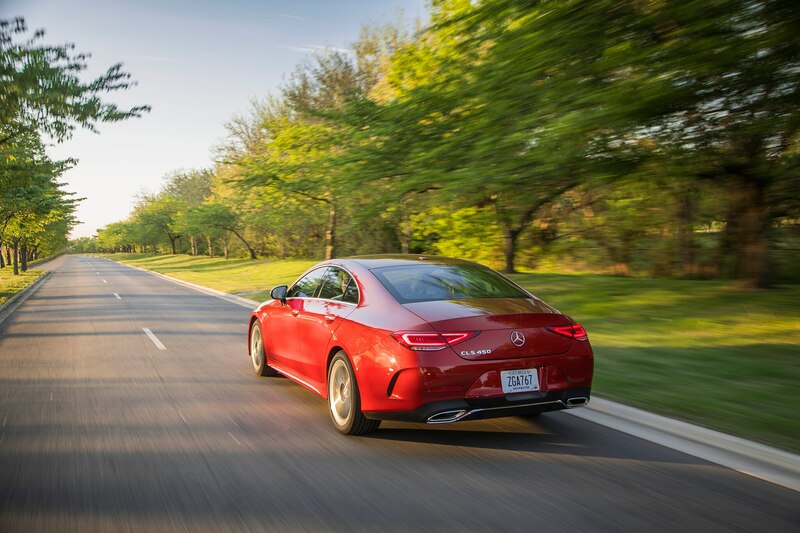 While the interior of the CLS has been marginally enlarged, given the greenhouse, rear seat passengers approaching the six foot range are still going to be headroom challenged. 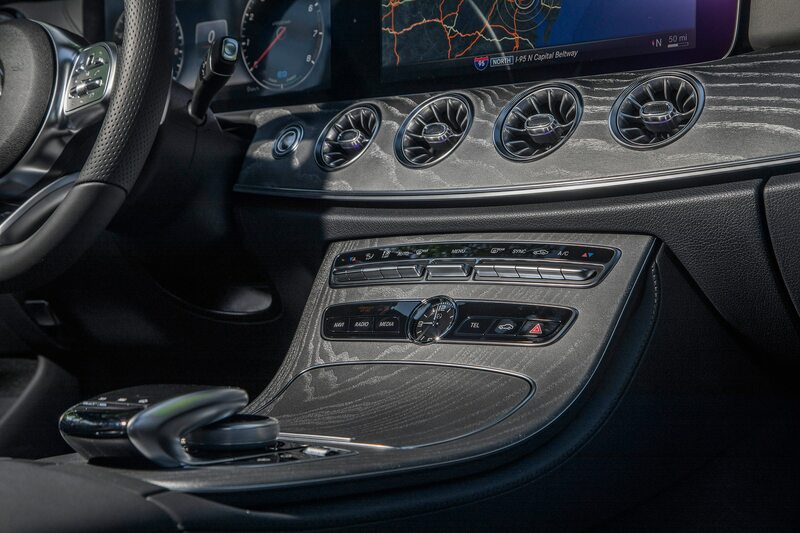 On the plus side, you can now cram one extra passenger in the middle if need be, though they aren’t going to like being there very long. 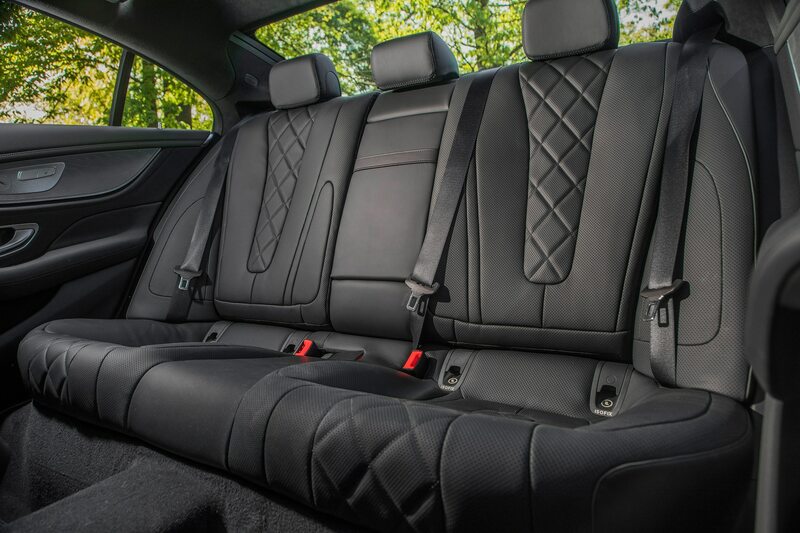 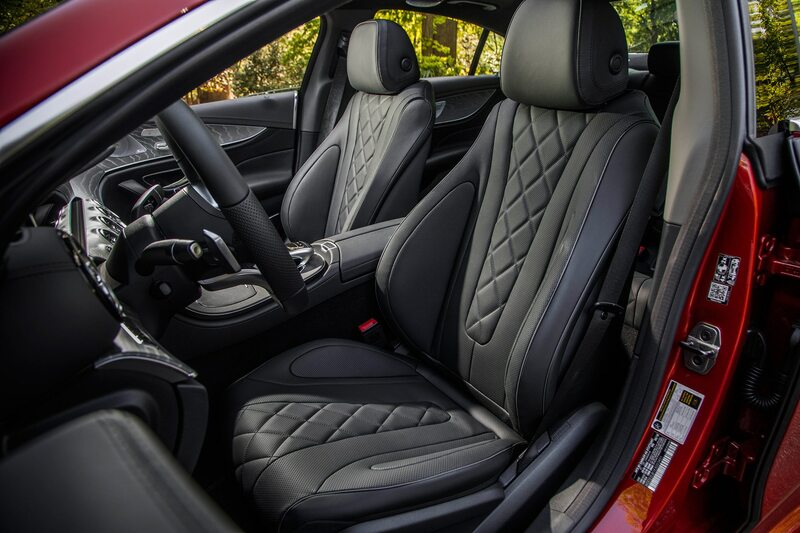 The rear seats can also be folded down 40/20/40 style for additional cargo capacity. 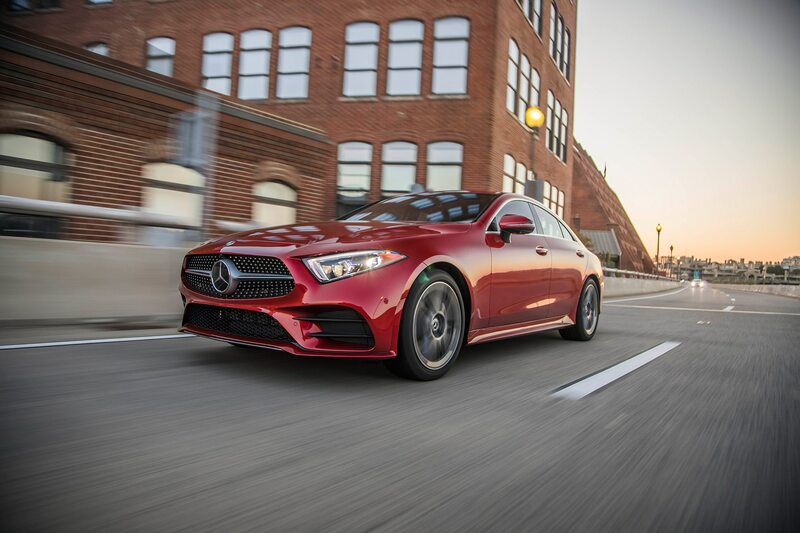 Among the standard features are Apple CarPlay and Android Auto capability, a 19-inch wheel package (20s are optional), and refreshed look LED head and taillamps. 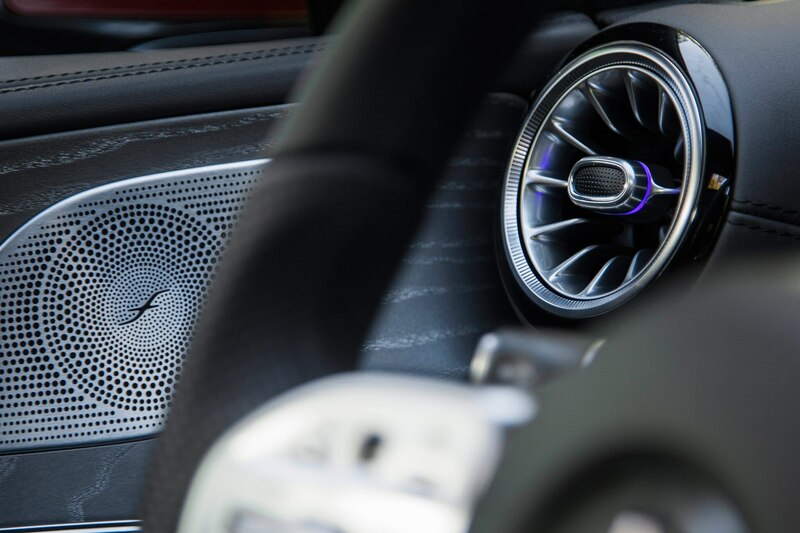 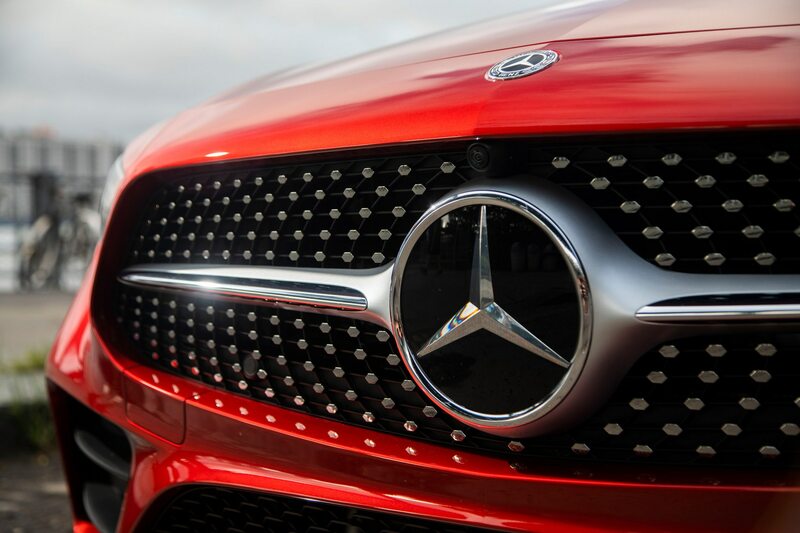 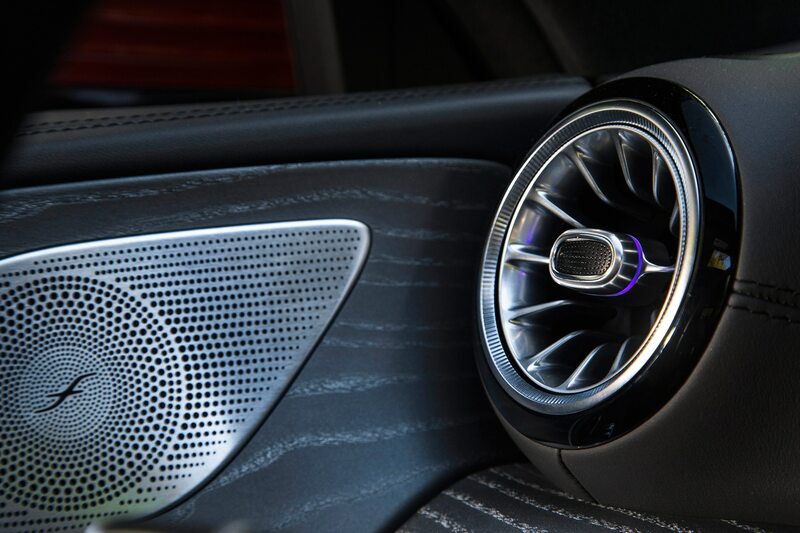 Start piling on the options (our test car had some $20,000 worth) and you can get anything from two different Burmester stereo systems, to multiple driver assistance and premium packages, to rear heated seats and soft close doors. 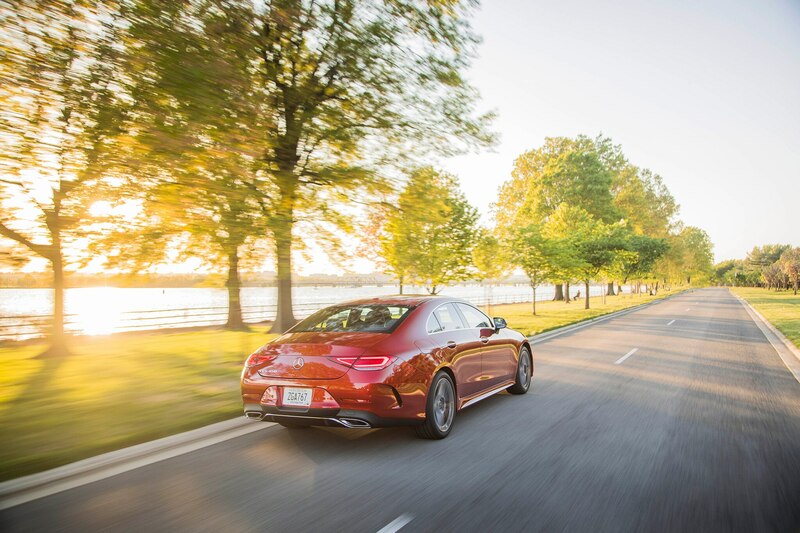 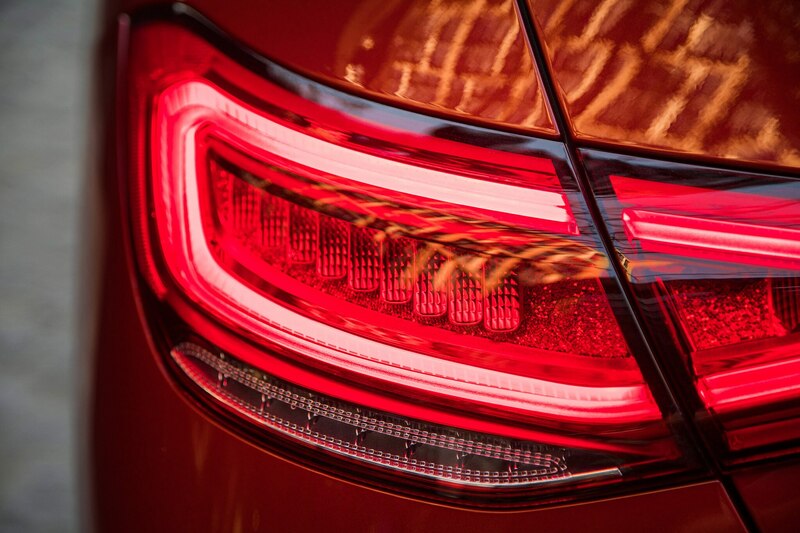 Depending on the package, a triple double’s worth of assists are standard or available, many cribbed from the S-Class. 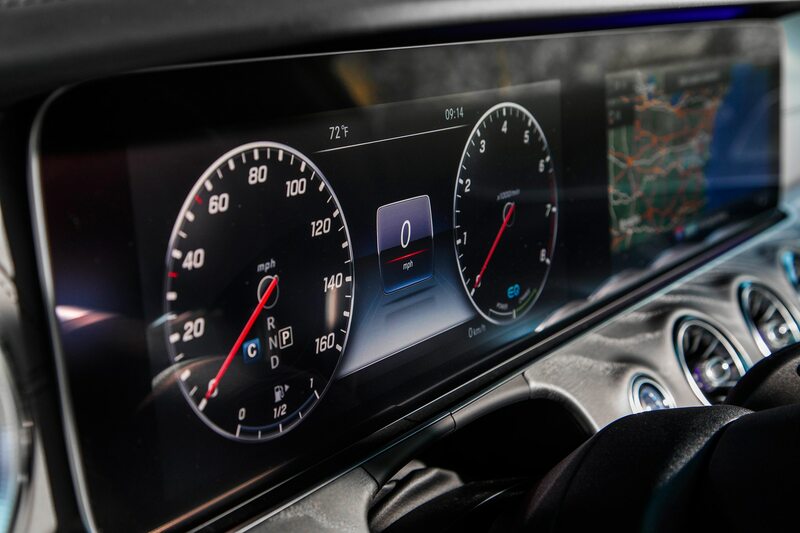 Among them: Active Distance Assist adaptive cruise, Active Steering Assist, Active Emergency Stop Assist, Active Lane Change Assist, Active Speed Limit Assist, Active Brake Assist with Cross-Traffic Function, Evasive Steering Assist, Active Blind Spot Assist, Active Lane Keeping Assist, Active Brake Assist, and Route-Based Speed Adaptation, that can reduce speed using map data in anticipation of slower sections of road. 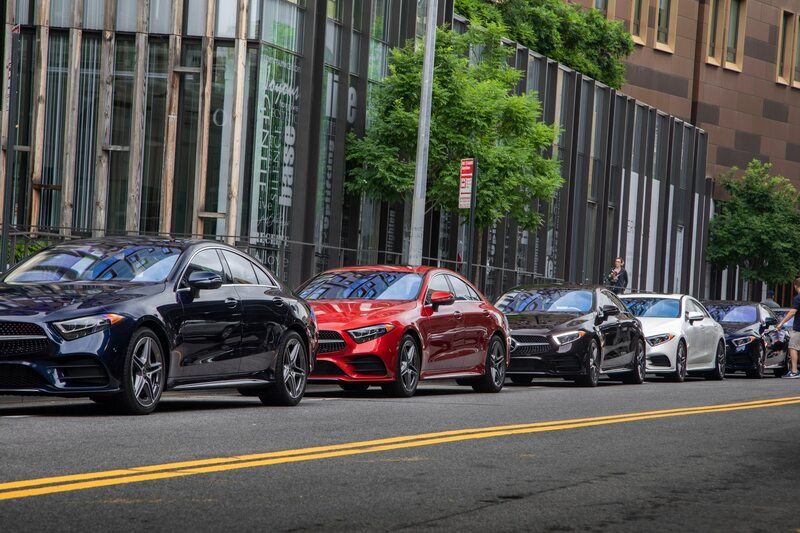 That’s a lot of nannies, folks. 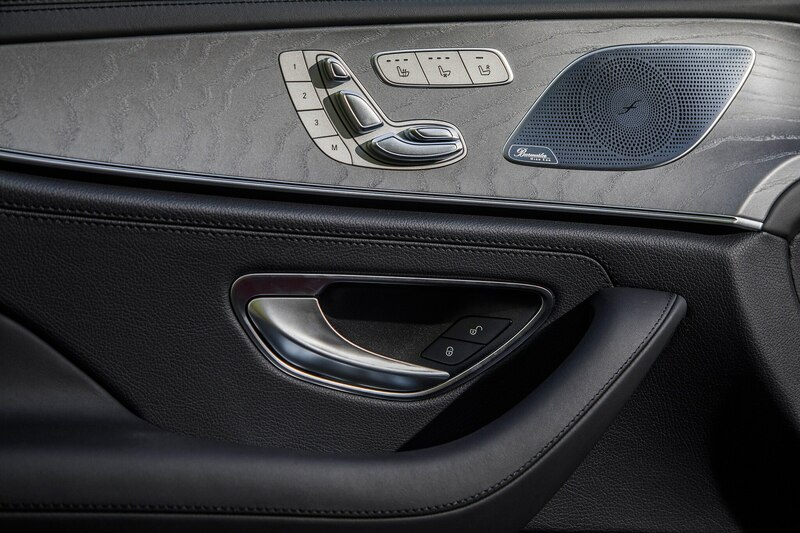 The good news is if you don’t want to be semi-autonomously assisted to death, you can decline many of these features. 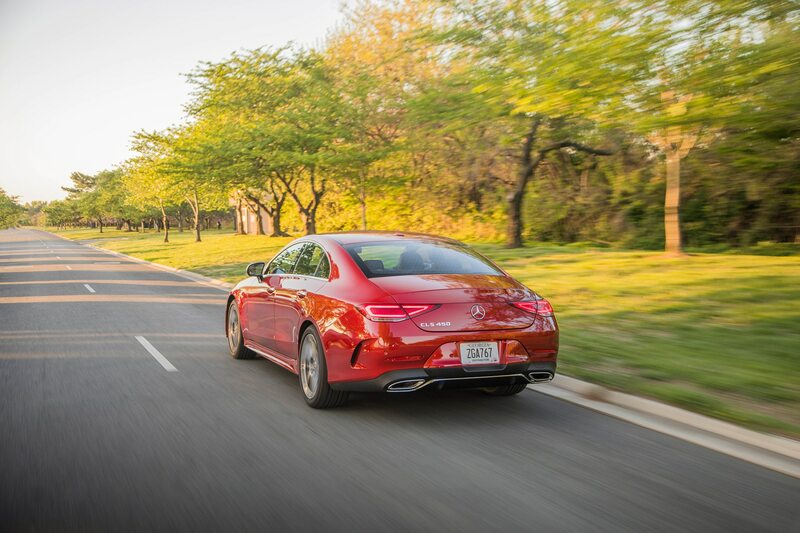 So while it isn’t the new hotness anymore, the 2019 Mercedes-Benz CLS is still plenty stylish, still serves as the vanguard vehicle for some of Benz’s latest tech, and is still a coupe in a four door world. 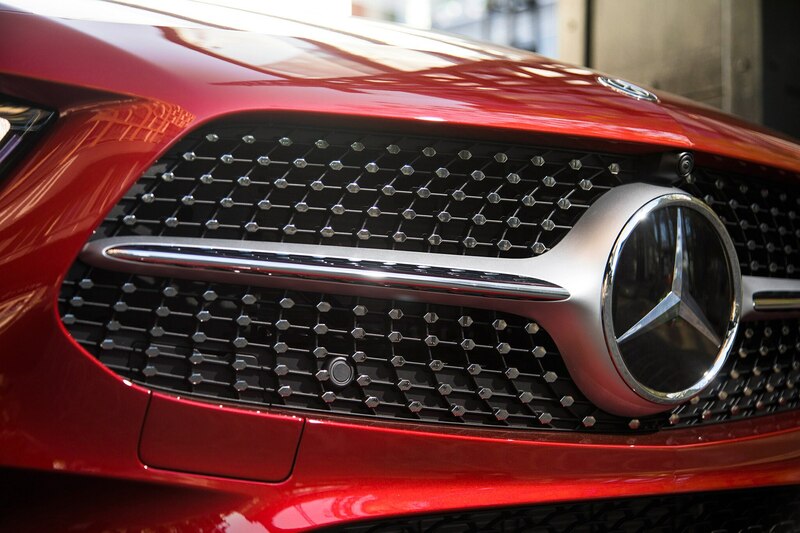 That’s more than enough to keep it relevant as a car, and not just as a footnote of automotive design.